A registered brand name for a capacitive tape contact microphone, ideally suited to piano and other acoustic string instruments. So-named by an abbreviation of 'capacitive transducer'. For further details see www.c-ducer.com. Designations for the female (C13) and male (C14) versions of a specific type of IEC 320 mains connector. 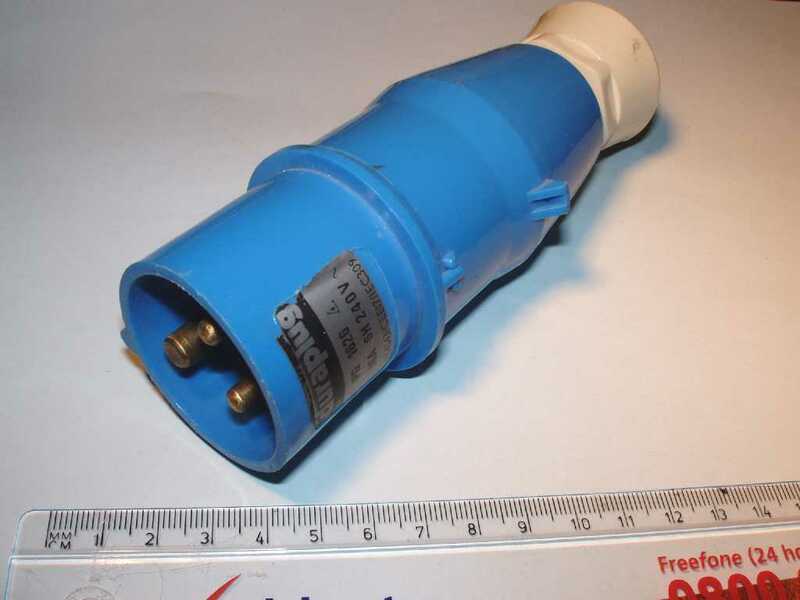 These connectors are rated at either 6 amps or 10 amps and are the types most commonly used for 3-pole mains supply connections into equipment. The designations apply regardless of whether the connectors are attached to cables or are mounted on equipment. For further information see IEC 320. Designations for the female (C15, C15A) and male (C16, C16A) versions of a specific type of IEC 320 mains connector. 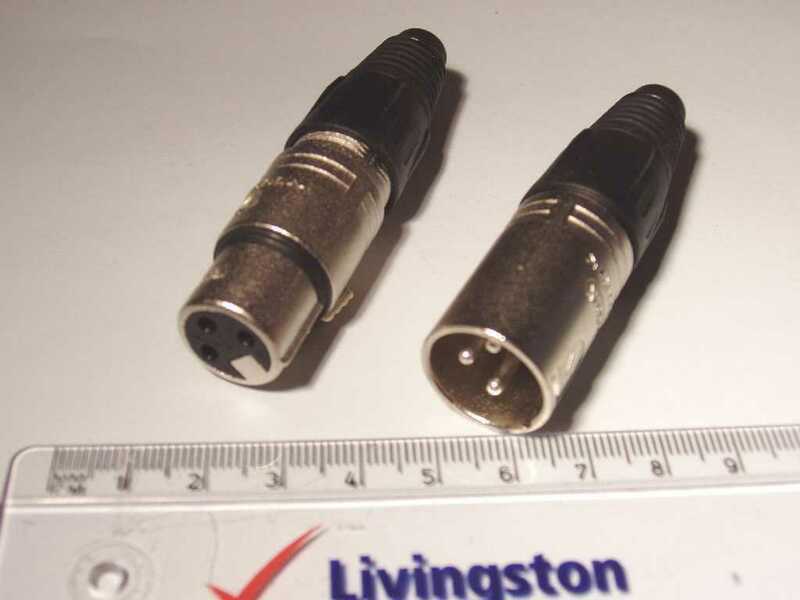 These connectors are 'hot condition' versions of the C13/C14 connectors, though often have a higher current rating, and are notched to prevent mating with other types. They are typically used on equipment that may become very hot in use, such as some stage lanterns. The 'A' versions are keyed, as well as notched. The designations apply regardless of whether the connectors are attached to cables or are mounted on equipment. For further information see IEC 320. Designations for the female (C19) and male (C20) versions of a specific type of IEC 320 mains connector. 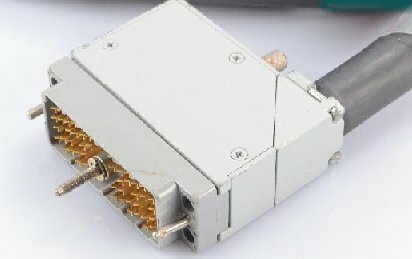 These connectors are usually rated at either 16 amps or 20 amps and are most commonly seen on equipment such as high-power power amplifiers. 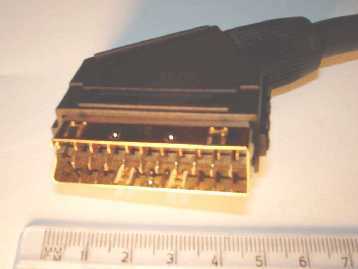 They cannot be mated with other types of IEC 320 connector. The designations apply regardless of whether the connectors are attached to cables or are mounted on equipment. For further information see IEC 320. Short for 'cabinet' or for 'speaker cabinet'; the full term is much less frequently used. An enclosure, especially a speaker enclosure, however the term is most often used to refer to the entire speaker (complete with drivers etc. ), rather than just the enclosure itself. See also Speaker cab, Front-of-house, Backline, Monitor, Stack and Box. An abbreviation for 'Continental Automated Buildings Association' (for those interested in building-integrated public address systems). A flexible means of carrying signals or power, for the purpose of interconnecting or powering items of equipment. 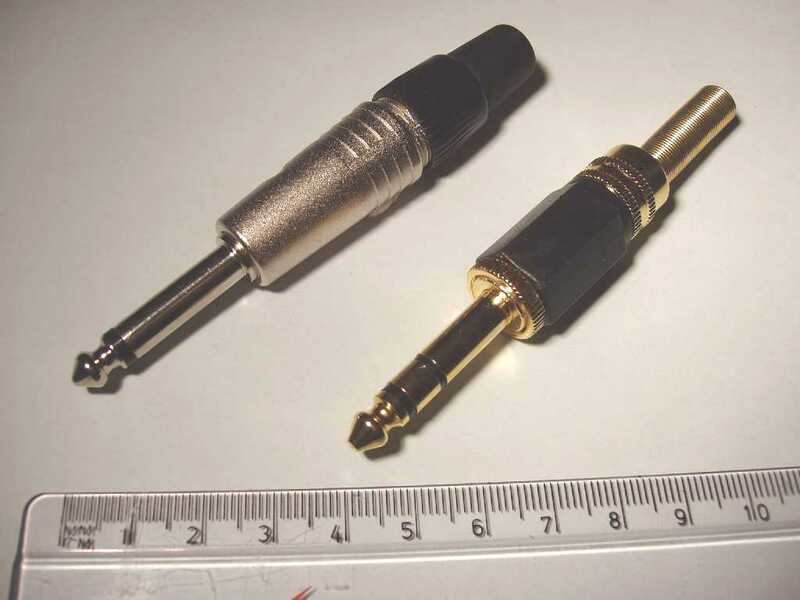 In common usage, the term is often used to refer to an item that is equipped with a connector at one or both ends, in which cases the type of connector may be used to provide a limited description of the cable (as in 'an XLR cable', 'a jack cable', etc). Strictly, however, the term should be applied to the flexible component only, without its connectors. It usually refers to a means of electrical interconnection, in which case it generally contains several conductors that are insulated from one another. However, very heavy duty power interconnections may utilise several separate cables that each contain only a single heavy-gauge conductor. The insulated conductors within a cable are usually referred to as the cores of the cable. The term 'cable' may also refer to a means of optical interconnection, in which case it usually contains only a single optical fibre. A cable that is either fitted with connectors at both ends, or (less commonly) that is permanently attached to an item of equipment, is often referred to as a 'lead' or as a 'cord' (USA term), especially if not lengthy. A cable should not, however, be referred to as a wire. It is very important to use the appropriate type of cable for each application. In particular, for safety reasons the maximum voltage and current limitations of the cable must be observed, and in some circumstances there is a requirement to use types that are fire resistant or that produce reduced amounts of smoke or toxic gas when affected by fire. Further, different types of cable are constructed differently and have different values of resistance, inductance, capacitance and characteristic impedance. The amount of current that can be safely carried by a cable is determined by the gauge of the cable conductors and by other factors such as the type of insulation it employs and the ambient temperature when in use. 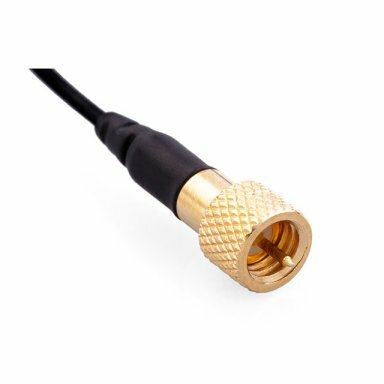 See also Balanced, Unbalanced, Microphone cable, Instrument cable, Speaker cable, Coaxial cable, Star quad cable, Multicore, Installation cable, Triaxial cable, Figure-of-8 cable, Lay, Stranding, CSA, AES3, MIDI, DMX, UTP, STP, SCART, AWG, Pair, Screen, Sheath, Cable tie, Oxygen-free copper, Voltage drop, CCA, CPR (2), LSF and TOSLink. A hollow strip laid on the ground, through which cables may be routed in order that people or vehicles may pass over without damaging the cables and without posing a hazard to passing people or vehicles. Cable bridges must be suitable for each particular application, for example in regard to the maximum passing weight that they are required to support. In some cases the bridges may need to be secured to the ground in order to prevent movement. Also referred to as a 'cable protector'. A narrow plastic strip which is placed around a bundle of cables to keep them together. They are available in many different lengths and widths. 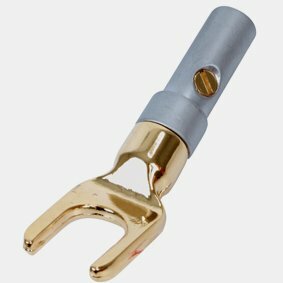 To secure the tie around the cable, the narrow end of the strip is fed through the eye at the other end, where a ratchet device engages with 'one-way' serrations along the length of the strip, allowing the tie to be tightened to the required degree as the free end is pulled. They may also be used to secure cables to fixed objects, but not overhead or where any appreciable weight of cable is involved. There are two types: non-releaseable ties are used in permanent and semi-permanent installations (such as internal rack wiring), and releasable ties are used to keep coils of cable neat and tidy during storage and transit. The non-releaseable types are commonly referred to as 'zip ties'. The ties may be re-used time and time again. The avoidance of a consumable item is more environmentally friendly. It does not rely on several rolls of PVC tape (one for each person coiling) being available at the times & locations of need. When the coil is unwound and connected, its tie (of appropriate length) may be conveniently stored around one end of the cable ready for use when it is time to coil it up again. The cost of keeping tape supplies topped-up is avoided. The problem of disposing of the sticky pieces of tape removed from coils is avoided. Persons uncoiling cables do not need to carry knives to cut tape. There is no risk of damaging the cable when removing the ties. Pieces of improperly removed tape, and/or sticky patches of adhesive residue, do not get left on the cable. Like PVC tape, releasable ties are available in several colours for identification purposes (if required). A nut with a spring clip attached, that enables the nut to be retained in place when clipped into a suitable aperture. They are used in the vertical fixing-strips of some 19 inch rack systems. For general audio and electrical calculations see this entry on the FAQ page. For decibel calculations see the Decibels page. The process of ensuring that indicating devices (such as level meters, multimeters and oscilloscopes) give readings of the required accuracy, and/or that controls have an effect that is suitably consistent with their markings. It is usual for professional test equipment to be calibrated at regular intervals (e.g. annually) to ensure that it gives correct readings. See also Tolerance. The particular intended nominal relationship between the readings given by indicating devices such as level meters and the actual values that such readings relate to. For example, "That level meter is calibrated to read 0 dB at an output level of +4 dBu." Or, the particular intended nominal relationship between the markings of control settings and the values that such markings relate to. For example, "That control is calibrated so that a setting of 10 gives 30 dB gain." Or, a general term for the scale markings themselves, of indicators or controls. For example, "This level meter is calibrated from −50 to +20 dB" or "This control is calibrated from 0 to 10." A slang term for a Camlock connector − see the next definition. A range of single-pole mains power connectors intended for applications where a higher current rating is required than that provided by CEE-form connectors. Rated at up to 400 amps. WARNING: Electric shock risk! 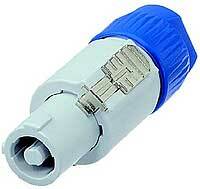 These connectors have accessible conductors and are intended to be used only by qualified persons. They must not be handled, mated or de-mated whilst the circuit is live. In common with other types of single-pole power connectors, all poles of the circuit must be mated before the circuit is energised: the poles should be mated in the sequence Earth first, then Neutral, finally the Phases − and be de-mated in the reverse sequence. The labelling and colour-coding of the connectors must conform to the up-to-date standards of the country concerned. See also Power distribution and MDU. Compare Powerlock and Snaplock. A slang term for a simple lantern, especially a PAR can. However, see also Cans. The unit of light intensity of a point light source, measured as the number of lumens emitted per solid angle by the source, in a given direction. This therefore defines the perceived brightness of the source when viewed from that direction. See also Nits. (Frequently mis-spelled 'Canon'.) See XLR. A slang term for headphones. Or, the plural of 'can'. In electronics, capacitance usually refers to the property of a pair of conductors in close proximity, which causes a change in the electric charge on one conductor to produce a change in the charge on the other one. This property is measured in farads. It enables the storage of electric charge, and also enables the flow of an alternating current to occur between the conductors, even though there is no physical contact between them (and therefore no possibility of any flow of direct current). More importantly, the higher the frequency of the current, the greater the influence between the conductors. Therefore, this property can be used to construct filters, selectively passing some frequencies and blocking others. The capacitance between a pair of conductors will be proportionally higher if their area (facing each other) is larger or if the distance between them is smaller. A component called a capacitor may be deliberately formed in order to exploit the useful properties of capacitance. However, not all capacitance is useful. The capacitance which exists, undesirably, between the conductors of a cable (or other wiring) may be a cause of high-frequency attenuation in the cable, especially in high impedance interconnections. It may also be responsible for crosstalk resulting from capacitive coupling between the conductors of different circuits. See also Reactance. Compare Inductance. The undesirable phenomenon whereby a signal that is present on one conductor impresses itself to some degree on a nearby conductor because of the capacitance which exists between the two conductors. Such coupling is usually reduced to acceptable levels by the use of screened conductors and balanced interconnections. Also known as 'electrostatic coupling'. See also Crosstalk. Compare Inductive coupling and Common impedance coupling. The use of series coupling capacitors at the input and/or output of amplifiers or other processing circuits, and between their internal stages. The primary purpose of these capacitors is to block DC currents, in order to avoid unwanted disturbances to the DC operating conditions of the circuit(s). Some low cut filtering may be caused by presence of these capacitors. See also RC filter. Calculators for simple RC low cut filters are available here. Passing higher frequency AC currents more readily than lower frequency ones, e.g. in filter, equaliser and crossover circuits. Allowing all relevant AC frequencies to pass, while blocking the passage of DC currents, e.g. for signal coupling between consecutive stages of an amplification or processing circuit (see Capacitive coupling (2)) and for the decoupling of DC supply rails. Storing charge, e.g. reservoir capacitors in power supply rectifier circuits. A capacitor consists of two layers of conducting material (often a metallic foil), separated by a very thin insulating layer called the dielectric; these layers are often wound into a tight spiral to save space. In PA work, capacitors are an essential component of passive crossovers. The capacitance value (in picofarads) of some types of capacitor is indicated by a colour code. Tolerance values are sometimes indicated by a letter (follow that link for details). When replacing capacitors there are other considerations besides ensuring that the replacement has the correct nominal capacitance value and tolerance. It must also have a voltage rating at least as large as the one to be replaced, and be of the correct type. Physical size and shape, mounting method, effective series resistance (ESR), maximum temperature rating and/or temperature coefficient may also be important. There are many different types of capacitors, each designed to suit different applications. The types differ mostly in their dielectric material, common materials for non-polarised capacitors being polystyrene, polycarbonate, polyester, polypropylene, and ceramic. Where large values of capacitance are required in a small space, polarised electrolytic types are often used; the most common types utilise an electro-chemically created dielectric of aluminium oxide. Polarised electrolytic types (aluminium and tantalum) must always be connected with the correct polarity as well as having an adequate voltage rating. Failure to observe these requirements may cause the capacitor to explode. In passive crossovers the absence of a DC voltage makes polarised electrolytic types unsuitable, so special non-polarised electrolytic types (also called bi-polar electrolytics) are often used instead. When two or more capacitors are connected in parallel, their combined value of capacitance is the sum of the individual capacitor values. When two or more capacitors are connected in series, to find their combined value of capacitance it is necessary to sum the reciprocals of the individual capacitor values and then take the reciprocal of that sum (i.e. the same method as for parallel resistors). See also Re-capping and Inductor. Another name for a condenser microphone. An internal part of a microphone. The capsule is the specific part that converts sound energy into an electrical signal. (Other parts typically include the body, connector, switch, built-in equalisation, etc.) Some types of microphones (notably some radio microphones) have a detachable capsule. A choice of capsules offering different polar responses may be available, enabling the microphone to be configured for the required application. Sometimes called a cartridge. See also Diaphragm and Transducer. Describes a polar response pattern, usually of a microphone (but see also the next definition). A cardioid microphone is a uni-directional type whose sensitivity to sound gradually decreases from the front to the back. Its useful angle of acceptance (measured from side to side) is around 130º. Its minimum sensitivity to sounds is at an angle of 180º, measured from the front axis (i.e. is on the rear axis). The name arises from the heart-shaped pattern of the sensitivity, when plotted as a polar response graph. See the Microphones page for further information. See also Subcardioid, Super-cardioid and Hyper-cardioid. A bass bin or 'sub' that is directional with an approximately cardioid (i.e. heart-shaped) dispersion pattern. Or, an array of multiple sub enclosures and appropriately-configured amplifiers that work together to provide a cardioid pattern. This means that the sound produced is emitted predominantly in the forward direction, gradually decreasing towards the rear of the unit(s). This directional behaviour can be useful in decreasing unwanted on-stage sub-bass levels. See also CSA (2). In information transmission, the signal (usually at radio-frequency) that is modulated by the baseband information signal, in order to carry the information between distant locations − usually by radio transmission, though sometimes via cable. In the case of radio transmission, it is the carrier frequency that the receiver is tuned to in order to select the specific wanted transmission, though any other transmissions using that same carrier frequency (or very close to it) at sufficient strength will also be received. See also Modulation. See Capsule. See also Vinyl. The process of interconnecting two or more mixers such that one or more mix output(s) from one mixer are supplied as input(s) to another mixer. This arrangement may be used to effectively create one large mixer from several smaller ones, but is also used for other purposes. Caution: If using balanced inputs for the interconnection(s) between the mixers, take great care to ensure that phantom power is deactivated on those input(s) before making the connections, and is not activated while the interconnections are in place − otherwise serious damage may be caused to the outputs of the other mixer. If this isn't possible (e.g. if phantom power is switched globally and is needed on other inputs), or in case of any doubt, then use a suitable 1:1 isolating transformer in each feed. A slang term for a casual stage-hand, i.e. a member of the stage crew who is not permanently employed by the venue (or, artist, company, etc.). 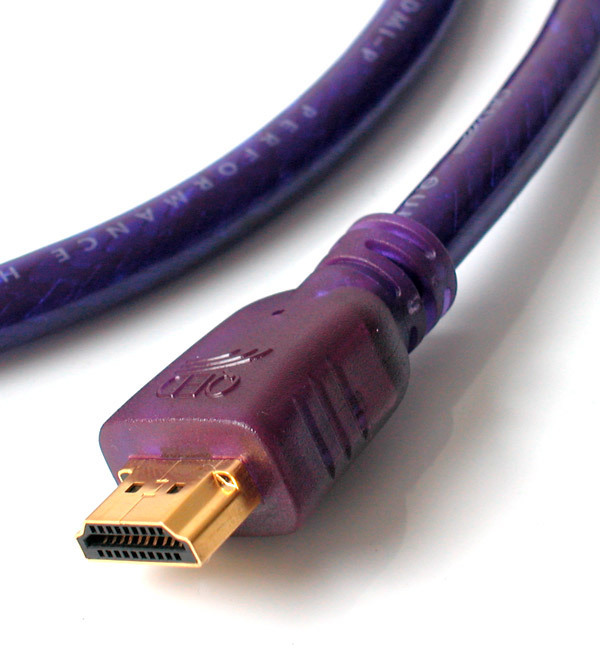 An abbreviation for 'category 5' (or 'category 5e'), a category cable commonly used for computer networking applications, but also for point-to-point digital audio, by VGA or HDMI extenders providing video interconnections such as feeds to data projectors and in digital multicore systems. 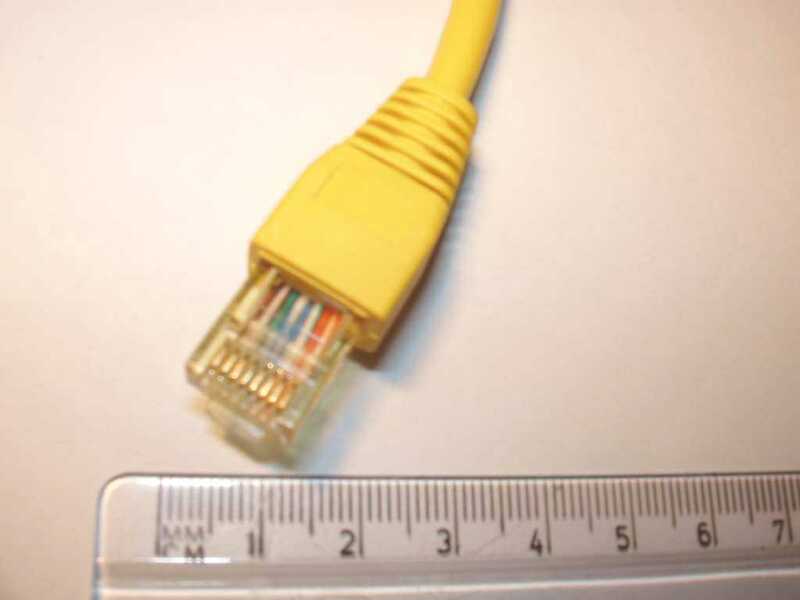 CAT 5 supported up to 100 Mbit/s (e.g. 100Base-T Ethernet). CAT 5 is now largely superceded by CAT 5e, which is an enhanced performance version of CAT 5 having a nominal bandwidth of 350 MHz and capable of carrying 100Base-T over longer distances or 1000Base-T over short distances. See also the next definition. 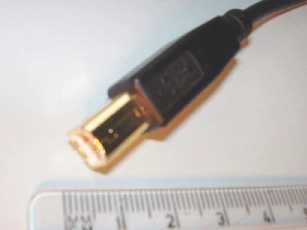 An abbreviation for 'category 6' (or 'category 6a'), a category cable commonly used for computer networking applications, but also for point-to-point digital audio, by VGA or HDMI extenders providing video interconnections such as feeds to data projectors and in digital multicore systems. CAT 6a cable provides an improved performance over CAT 6, which in turn has an improved performance over CAT 5e, allowing longer cable runs and/or faster data speeds. See also the previous definition. A general term for unscreened or or screened twisted pair cable complying with one of the standards which defines the performance characteristics for carrying balanced digital data signals such as Ethernet. It is important to use the correct category of cable, to suit the bit-rate of the computer network or whatever other equipment it is used with, taking into account the cable lengths involved. 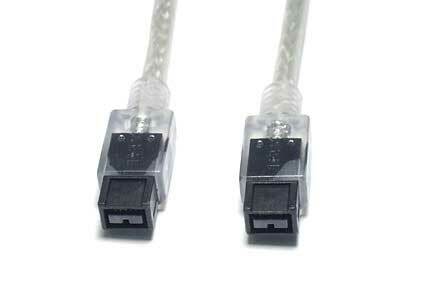 CAT 3 cable was suitable for use at a bit-rate of only up to 10 Mbit/s (e.g. 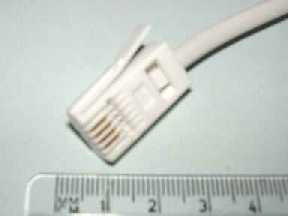 10Base-T Ethernet), and is now obsolete. The most common standards encountered are now CAT 5e and CAT 6 − see the two definitions above. Category cables are generally 4 pair cables of type U/UTP, F/UTP, S/UTP, SF/UTP, U/FTP, F/FTP, S/FTP or SF/FTP, typically fitted with 8p8c RJ45 connectors. They have a nominal characteristic impedance of 100 ohms. See also QTP and Ethernet cable. An abbreviation for 'community antenna television', a television signal distribution system in which a common aerial serves several properties, or an abbreviation for 'cable television'. An abbreviation for 'constant angular velocity'. Describes the rotation of a disc as being maintained at a fixed number of revolutions per minute (e.g. an LP vinyl disc). Compare CLV. An abbreviation for 'citizen's band', referring to speech transmissions between a type of mobile 2-way radios that are most commonly installed in vehicles and used by heavy-haulage goods transport drivers. Such transmissions may on occasion be a source of radio-frequency (RF) interference in PA systems. An abbreviation for 'copper-clad aluminium'. A material used as the conductor in some types of cable. This material is cheaper and lighter than pure copper, but gives a slightly higher round-trip DC resistance for a given length of cable. The copper cladding provides a lower resistance to the high-frequency currents flowing in the cable, as these tend to flow close to the surface of the conductors ('skin effect'). This makes cable using this type of conductor popular for high frequency applications, e.g. UTP network cables. The copper cladding also adds flexibility and enables straightforward termination of the cable − pure aluminium conductors would be rather brittle and difficult to terminate reliably. An abbreviation for the (French) name of the European organisation previously responsible for setting standards for audio equipment, measurements, etc. The standards previously managed by CCIR have been managed by ITU-R since 1992. 'CCIR' is most often seen in older noise specifications, to identify the weighting scheme previously specified by CCIR 468 (see the next definition), in contrast to the 'A-weighting' scheme now specified by IEC 61672-1 (previously DIN/IEC (60)651). In analogue reel-to-reel tape recording, 'CCIR' usually refers to a particular tape equalisation standard − compare NAB. A weighting scheme previously specified by CCIR (see the previous definition), now specified by ITU-R 468. There were several revisions of CCIR 468, identified as CCIR 468-1 to CCIR 468-4, but the changes between each revision were relatively minor. CCIR weighting is also sometimes referred to as DIN 45405, as it is included in that standard. For further information see ITU-R 468. See also Microphone Noise Levels on the Microphones page. An abbreviation for 'cross-coupled output stage'. See Quasi-floating. An abbreviation for 'camera control unit'. An abbreviation for constant directivity (as well as for the obvious "compact disc"). Red Book The standard for CD-DA (digital audio) discs. Masters for pressed production discs must conform to this standard. Yellow Book The standard for CD-ROM discs. Orange Book The standard for CD-R single-session (disc-at-once) and multi-session (track-at-once) discs. It also applies to CD-RW discs. Green Book The standard for CD-I (CD Interactive) discs and players. Blue Book The standard for CD+ and its variants. Similar to Orange Book, but with the restriction of one audio session plus one data session. The standard ensures that audio CD players will not try to interpret the data session as audio. White Book The video-CD (VCD and SVCD) standard. A standard for MPEG video on CD, now superceded by the DVD format. Scarlet Book The standard for SACD discs. An informal term for a mains power connector of the form (i.e. style) originally specified by the CEE − the International Commission on Rules for the Approval of Electrical Equipment. 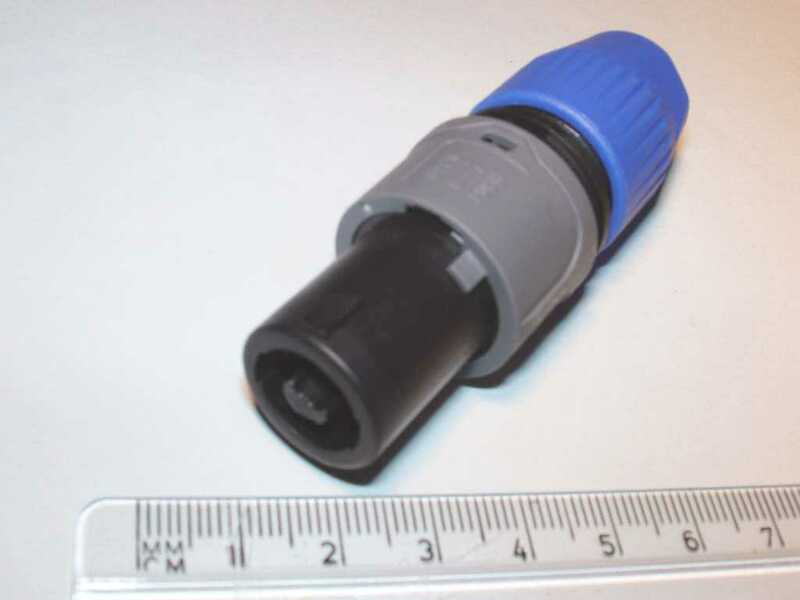 As the CEE no longer exists, such connectors should more accurately be referred to as complying with the standard IEC 60309, adopted in Europe as EN 60309. In the UK, this is referred to as BS EN 60309 (formerly BS 4343). These connectors are commonly used in PA power distribution arrangements, such as on floor-standing distribution units (MDUs). Sometimes incorrectly written 'C-form'. 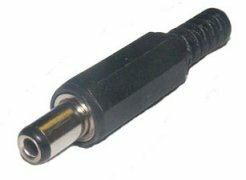 CEE-form connectors are sometimes referred to as 'Commando connectors', but actually this is just one brand of these connectors, manufactured by MK. Each of these three types are available in current ratings of 16 amps, 32 amps, 63 amps and 125 amps. (These are UK ratings, the corresponding US ratings are 20, 30, 60 and 100 amps.) 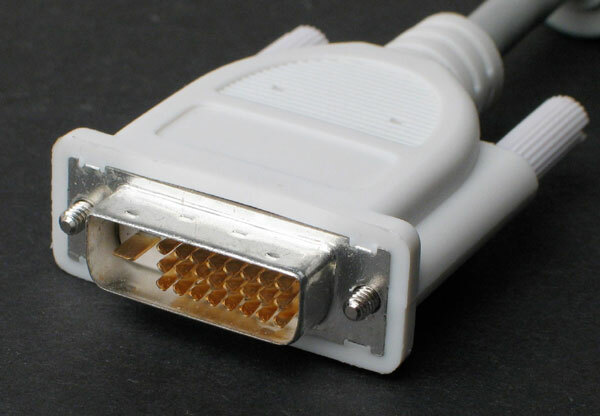 A connector of one type or rating may not be mated with one of another. N.B. The colours of these connectors have no relevance to the identifying colours of red, yellow and blue previously used in the UK for the line conductors of 3-phase supplies (now superceded by brown, black and grey). For current ratings greater than 125 amps, single-pole connectors such as the Snaplock, Powerlock or Camlock types are usually employed. The CEE no longer exists − after being renamed the 'International Commission for Conformity Testing of Electrical Equipment' its approvals scheme was integrated into the IEC in 1985 and is now operated by IECEE, the 'IEC System for Conformity testing and Certification of Electrotechnical Equipment and Components' (their website is www.iecee.org). See also Socapex. The abbreviated name of the European Committee for Electrotechnical Standardisation, a standards organisation for the European electronics industry. See also IEC. An interval of musical pitch, 1200 of which make up one octave. In terms of frequency, a cent is therefore a ratio of 1200th root of 2, i.e. approximately 1.00057779. Note that this is not a 1 percent change in frequency − in fact the change is approximately 0.057779%. The cent is most commonly used in indications of tuning devices for musical instruments. In instruments tuned to sound equally 'true' in any musical key, there are a hundred cents to the semitone (hence the name 'cent'). The human ear is generally insensitive to tuning inaccuracies of less than 5 cents. At a frequency of 440 Hz, which is commonly used for tuning instruments to concert pitch, one cent represents a frequency difference of approximately 0.25 Hz. The frequency that lies in the middle of the passband of a bandpass filter, or that lies in the middle of the stopband of a bandstop filter. Or, the frequency that lies in the middle of range of frequencies that are affected by an equaliser having a peaking response. For example, the frequency values assigned to the bands of a graphic equaliser. These 'middle' values are usually determined as being equally spaced from the range edges on a logarithmic scale. In the case of symmetrical filter or equaliser, the centre frequency will be the frequency at which the filter or equaliser has the most effect. That is, the frequency at which a bandpass filter has least attenuation or a bandstop filter has most attenuation; or at which a peaking equaliser provides the most boost or cut. A mix that is intended for supply to a speaker (or set of speakers) that are located central to the audience, i.e. midway between the Left and Right speakers (see Stereo). Some mixers have a specific mix bus and main fader for a centre mix. Centre speakers are usually clusters or line arrays flown at high level. See also LCR (1) and Routing. A tap that is located mid-way along a winding of a transformer. By connecting a secondary winding centre tap to a common reference point (often earth), the transformer may be used to provide a pair of anti-phase outputs of equal voltage. A transformer having such a winding may be referred to as a 'centre-tapped transformer'. Most often encountered in conversions between unbalanced and balanced interconnections (see DI Box) and in power supplies. It is also used to provide a balanced mains supply. See also Balun. Less tangibly, to refer to one of several possible paths through some communication medium (such as radio waves), to a defined band of radio frequencies or to one of several independent information paths on a point-to-point digital interconnection. Examples are: "Try tuning the radio mic to a different channel", "That keyboard sends on MIDI channel 7", or "A single SPDIF digital signal carries both the left and right channels". In relation to this second sense, see also Multiplex. The channel numbers often used in the UK to refer to the range of frequencies in which UHF radio microphone and in-ear monitoring systems operate are the channel numbers originally allocated for analogue UHF terrestrial TV broadcasts. These numbers range from 21 to 68, continuously covering the frequency range 470 to 854 MHz at 8 MHz per channel. However, this numbering scheme is continued for further 8 MHz segments above 854 MHz − see in particular channel 69 and channel 70. Since conversion to digital TV broadcasting, only the range 470 to 790 MHz, i.e. channels 21 to 60 (with some gaps, channel 38 in particular) is used for TV in the UK, with other ranges being used for other services such as 4G mobile communications. For further information on radio microphone channel frequencies see the radio mic information on the Microphones page. The designation given to the band of UHF radio frequencies between 606 and 614 MHz; the band now allocated for shared frequency licensed use by UHF radio microphone and in-ear monitoring systems (PMSE users) in the UK. In practice, carrier frequencies are restricted to the range 606.5 to 613.5 MHz; this range is able to accommodate at least 8 simultaneous systems without interference between them (when using suitable equipment). The precise frequencies to be used are not stipulated by the licence − it is up to manufacturers and users to devise compatible sets of frequencies. In the UK, PMSE usage of channel 69 has now migrated to channel 38 as part of the move to clear the so-called '800 MHz band' (790 to 862 MHz) for other services throughout much of Europe; this migration completed at the end of 2012. For further information on frequency allocations see the radio mic information on the Microphones page. See also PMSE and Regulated frequency. Channel 65 occupies the band of UHF radio frequencies between 822 and 830 MHz, however in the context of radio microphone and in-ear monitoring systems this term usually refers to the band between 823 and 832 MHz. This band was added to the standard PMSE UK shared frequency licence in 2015, in order to enable a larger number of systems to be used together, and for compatibility with European frequency allocations. 823 to 832 MHz consists of most of channel 65 and the first part of channel 66, so may variously be referred to as 'channel 65', 'channel 65/66', etc. The precise frequencies to be used are not stipulated by the licence − it is up to manufacturers and users to devise compatible sets of frequencies. See also Regulated frequency. The designation given to the band of UHF radio frequencies between 854 and 862 MHz, which was previously allocated for licensed use by UHF radio microphone and in-ear monitoring systems (PMSE users) in the UK. This band accommodated about 14 system channels, at specific designated carrier frequencies. The designation arises because this band occupies the next 8 MHz slot above what was previously the highest-numbered UHF television channel, channel 68 (846 to 854 MHz). In the UK, PMSE usage of channel 69 has now migrated to channel 38 (606 to 614 MHz) as part of the move to clear the so-called '800 MHz band' (790 to 862 MHz) for other services throughout much of Europe; this migration completed at the end of 2012. Channel 69 is therefore no longer available for this use. For further information on frequency allocations see the radio mic information on the Microphones page. See also Regulated frequency, PMSE and the next definition. The designation given to the band of UHF radio frequencies between 862 and 870 MHz, the lower part of which is allocated for licence-free use by UHF radio microphone and in-ear monitoring systems (PMSE users) in the UK. In PA work the term usually refers to the part allocated for that use, which can accommodate up to 8 or 9 system channels with carrier frequencies from 863.1 to 864.9 MHz. However, many budget UHF systems are either fixed-frequency or offer a choice of only four frequencies in this range (the actual carrier frequencies used vary according to the system manufacturer and model). The designation arises because this band occupies the next-but-one 8 MHz slot above what was previously the highest-numbered UHF television channel, channel 68. It is sometimes referred to as the 'ISM band'. Its use for PMSE applications remains unaffected by the move to clear the so-called '800 MHz band' (790 to 862 MHz) for other services throughout much of Europe. For further information see the radio mic information on the Microphones page. See also De-regulated frequency, ETS and the previous definition. The set of controls and associated electronics that provide the initial signal processing for a single channel of a mixer. The controls are generally arranged in vertical columns and usually provide, as a minimum, adjustments for gain, equalisation and level-adjustable routing. In mixers of a modular construction, the channel strips may be removed (either singly or in groups) for maintenance or repair, or for replacement by a compatible strip having different facilities. For further details of the facilities typically provided on a channel strip, see Channel Facilities on the Mixing Facilities page. An indexable sub-division of a DVD title. The 'natural' impedance exhibited (at relevant frequencies) by a particular 2-conductor component of an interconnection between equipment (especially by a cable or a connector) by virtue of the inherent inductance of the conductors and the capacitance between them. The values of these attributes are determined by the physical dimensions of the component and the construction materials used, so these are the factors that determine its characteristic impedance value. The characteristic impedance is unaffected by the cable length, and is not to be confused with the 'end to end' (or 'round trip') impedance of speaker cables and the like, which increases with length (see Gauge). Characteristic impedance is alternatively referred to as 'impulse impedance' (although strictly the latter term relates to an assumption of zero loss in the cable). It is vital that cable and connectors of correct characteristic impedance are used in impedance-matched interconnections between equipment, especially where radio-frequency signals and/or long lengths of cable are involved. This is because when the characteristic impedance of the interconnecting path is equal to that of the input and output of the interconnected equipment, maximum signal transfer is achieved and troublesome signal reflections are minimised. The quality of an impedance match is indicated by a return loss figure. In practice there is some variation of characteristic impedance with frequency, but it is important only that the value is within acceptable limits over the frequency range of interest. Examples of impedance-matched interconnections are video, digital audio and DMX lighting control. Video and unbalanced digital audio interconnections operate at a characteristic impedance of 75 ohms, whilst balanced digital audio interconnections operate at a characteristic impedance of 110 ohms and DMX lighting control interconnections at 120 ohms (balanced). Antenna connections of radio microphones are usually at either 50 ohms or 75 ohms (see Antenna distribution unit). Note that, in an impedance-matched interconnection, when the far end of the cable is terminated in an impedance equal to the characteristic impedance of the cable, the value of impedance that would be seen between the two conductors at the near end will always be that same value − regardless of the length of the cable. (More theoretically, the characteristic impedance is the value of impedance that would be seen between the two conductors at one end of the cable if the cable was of infinite length − regardless of what, if anything, was connected at the far end.) Often abbreviated to just 'impedance'. Stored electrical energy, measured in coulombs (or, in the case of a battery, in ampere-hours). A continuous flow of charge is what forms an electric current. The amount of energy available from a given amount of stored charge depends upon the voltage at which the charge is stored. (In fact voltage can be considered to be a measure of energy per unit charge − the value of the voltage is equal to the number of joules per coulomb.) See also Capacitance and Condenser microphone. A pre-programmed repetitive sequence of lighting scene changes, usually occurring at a steady rate which is either manually adjustable or set by the tempo of the music currently being played. See also Tap (2). The physical framework or casing of an item of equipment, usually one made of metal. As the chassis is usually connected to either a signal earth or safety earth, or both, the term may be used to refer to an earth connection. See also Class I, Enclosure and Pin 1 problem. Describes a class of filter having a controlled amount of variation (or 'ripple') of attenuation over its passband. Named after the person first to document this design. Whilst ripple in the passband is undesirable, by tolerating it this class of filter is able to achieve a more abrupt transition between its passband and its stopband than classes which aim to provide the minimum possible amount of ripple. See also Bessel and Butterworth. An extra value that may be incorporated into stored or communicated data at regular intervals (or just at the start or end of the data), in order to facilitate subsequent checking of the data's integrity. Each checksum value is calculated from the preceding set of data values (since the previous checksum, if any) by the storing or sending equipment, according to a pre-defined addition-based method. The reading or receiving equipment then performs the same calculation on the data and compares the resulting checksum value with the read or received one; any discrepancy indicates an error in the data (or in the checksum). See also Cyclic redundancy check, Parity, Bit error rate and Error correction. A powered device for lifting a person (or sometimes two) to a height in order to gain access to equipment such as flown speakers or lighting trusses. Use of such access equipment requires appropriate training and careful attention to safety. The term may be hyphenated, or written as two separate words. See also Fly and SWL. A slang term for an integrated circuit (IC). The term was originally an abbreviation for 'silicon chip', but now refers to any type of IC, regardless of the semiconductor material(s) used to make it. Several musically-related notes (usually either 3 or 4 of them), played at essentially the same time. See also Polyphonic. An effect unit which modifies a signal in such as manner as to simulate the presence of several additional sources of the same (or similar) sound, offset slightly in pitch and in timing, as occurs in a group of vocalists singing in unison (see Chorus (2)). A group of vocalists, often large in number, who sing together to complement, or to provide a backing to, the solo vocalist(s). Most often encountered in stage musicals. A common informal term for the refrain of a song or piece of music. See also Bridge (6) and Middle 8. The part of a colour composite video signal that carries the colour information, usually coded in some way (such as PAL or NTSC). The chrominance information includes the hue (shade) of the colours and their saturation (depth), but the brightness information is conveyed by the luminance signal. See also S-video and Colour bars. A network of interconnected electrical or electronic components, designed to implement some specific required function. Such a network may be passive, for example, a frequency-selective filter formed by a circuit which contains only passive components such as inductors, capacitors and resistors, or may be active, i.e. contains also semiconductor (or valve) components requiring a source of power. See also PCB. A specific complete path for the flow of an electric current, usually an intentional path provided by means of cabling to carry either a signal or power from one point to another (or to several other points). However, the term may also be used to refer to a wireless communications link. When the path is physical, it may be termed a 'line'. When several independent signal circuits follow the same route (such as within a multicore), they are often referred to as 'channels'. When referring to a path for the transfer of power, 'circuit' most commonly refers to a specific mains distribution path having its own dedicated cabling and provided with its own circuit protection device, e.g. at a distribution board. See also Short circuit and Open-circuit (1) and (2). An abbreviation for 'circuit diagram'. Short for 'miniature circuit breaker' − see MCB (or sometimes for 'moulded case circuit breaker' − see MCCB). Or, short for 'thermal circuit breaker'. A diagram that illustrates the individual components used in a particular electrical or electronic circuit, and the details of the interconnections between them. Often abbreviated to just 'circuit'. In such diagrams, each type of component is represented by a standard symbol, and the interconnections are represented by straight lines. Circuit diagrams are alternatively (and perhaps more properly) known as 'schematics'. Compare Block diagram. A generic term for the device(s) such as fuses and MCBs protecting a particular mains supply circuit against the effects of excessive current, due for example to an overload or short circuit condition. It may also include devices protecting against excessive earth leakage and electric shock, such as RCDs and RCBOs. A safety earth conductor that is associated with a particular mains supply circuit, and provides the safety earthing for equipment connected to that circuit. Commonly abbreviated to CPC. Describes headphones that are worn with the pads completely surrounding the outer part of the ears. Most closed back headphones are of this type. Compare Intraaural and Supraaural. A subjective measure of the degree to which individual components of a sound may clearly be distinguished within the overall sound. This is affected particularly by the quality with which the treble frequencies are reproduced, and their correct balance of level relative to lower frequencies. In relation to vocals (whether spoken or sung) it relates to the intelligibility of the words, which is heavily dependent upon the degree to which consonants can be clearly distinguished (see ALCONS). A sound with good clarity may be described as 'crisp'. See also Sibilance, Warm and Muddy. [Pronounced "class one".] Describes an item of mains-powered equipment that must have an adequate connection to a safety earth in order that it does not present an electric shock hazard. In the absence of reliable evidence to the contrary, any equipment that is not marked with the Class II symbol (a square within a square) must be assumed to be Class I. Further, in order for the necessary shock protection to be provided, the mains socket outlet from which the equipment obtains its power must provide a satisfactory safety earth connection. See also Chassis and Indirect contact. Compare Class II. [Pronounced "class two".] Describes an item of mains-powered equipment that does not require a connection to a safety earth. This type of equipment is fitted with supplementary or reinforced insulation, in order that it does not present an electric shock hazard. So, such equipment is also described as 'double insulated'. In the absence of reliable evidence to the contrary, any equipment that is not marked with the Class II symbol (a square within a square) must be assumed to be Class I. As no safety earth connection is required, 2-core mains cables (live and neutral only) and 2-pin plugs may be used, but be sure that any such cables are supplying only Class II equipment. To be safe, 2-core extension cables are best avoided. 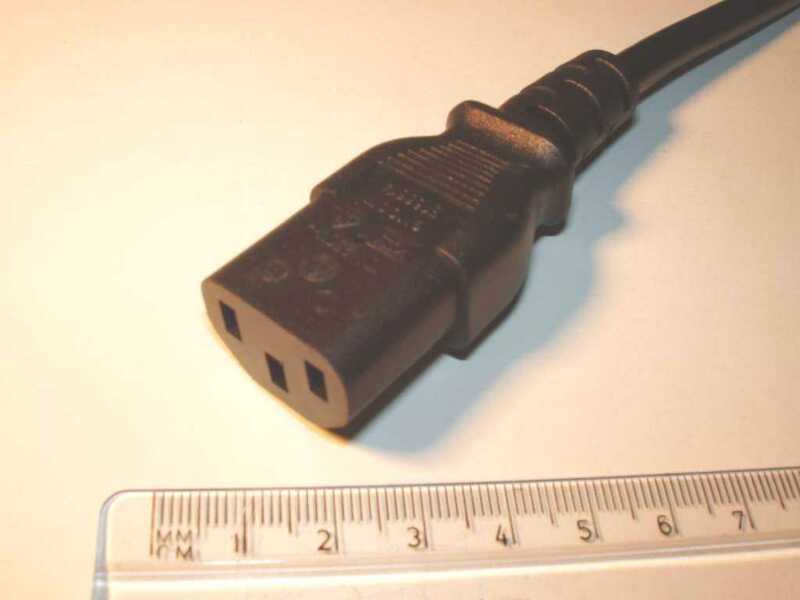 (Note: A 2-core extension cable must never be fitted with a 3-pin socket, as this may in the future mislead someone into thinking that it is a 3-core cable.) See also Indirect contact. Compare Class I. [Pronounced "class three".] Describes an item of equipment that is not powered directly from the mains supply, but rather is powered at extra low voltage − either from batteries or via an external power supply that is certified as providing safe degree of galvanic isolation from mains voltage. Protection from electric shock is therefore not provided by the Class III equipment itself, except that it must safely contain any hazardous voltages that it generates internally. See the Amplifier Classes section on the Amplifiers and Speakers page. Fire and smoke ratings − see CPR (2). Stranding / flexibility − see Stranding. US wiring classes − see Classes of wiring. See Class I, Class II and Class III. See Bessel, Butterworth and Chebyshev. See also Linkwitz-Riley. Lasers (such as may be used for lighting effect displays, or employed in optical-fibre signal outputs or in CD and DVD players/recorders) are classified according the level of risk associated with them. The same scheme is also used for the classification of LEDs. WARNINGS: Regardless of a laser's class, never stare into the beam of a laser or into an optical-fibre connector. Laser radiation may be invisible, but still hazardous. Always consult and adhere to the equipment manufacturer's safety instructions. It is important to understand that the classification given to an item of equipment containing a laser relates to the laser hazard from the equipment as a whole, in normal use. In the event of damage to the equipment, or when undertaking repair or maintenance work involving the removal of covers, laser radiation of a much greater hazard than the equipment classification may be encountered. This is because the equipment may contain a laser of a more hazardous class than that assigned to the equipment for normal usage conditions. 1. Generally considered to be safe. 1M. Generally considered to be safe, provided not observed through an optical device (magnifying glass, telescope, binoculars, etc.). 2. Visible lasers, safe for very brief accidental exposure (less than 0.25 seconds). 2M. Visible lasers, safe for very brief accidental exposure (less than 0.25 seconds) provided not observed through an optical device (as above). 3R. Not safe (i.e. potentially hazardous) − "low risk". 3B. Hazardous, but viewing of reflections from matt surfaces is generally safe. 4. Hazardous, viewing of reflections from matt surfaces is also hazardous. Fire risk. Class 1: Wiring that may carry sufficient voltage to consitute a shock hazard in the event of direct contact or indirect contact and which may carry sufficient current to consitute a fire hazard in the event of an overload or a fault occurring. Such wiring must be installed with appropriate precautions against these hazards, e.g. adequately voltage-rated insulation, touch-proof connections and fire-rated barriers. Class 2: Wiring that does not carry sufficient voltage to consitute a shock hazard in the event of direct contact or indirect contact and which would not carry sufficient current to consitute a fire hazard in the event of an overload or a fault occurring. Such wiring must be suitably segregated from Class 1 wiring in order to reduce the likelihood of it accidentally attaining a hazardous voltage (e.g. in the event of damage occurring to insulation). Class 3: Wiring that may carry sufficient voltage to consitute a shock hazard in the event of direct contact or indirect contact but which would not carry sufficient current to consitute a fire hazard in the event of an overload or a fault occurring. Such wiring must be installed with appropriate precautions against the shock hazard, e.g. adequately voltage-rated insulation and touch-proof connections but does not require precautions against fire hazards. This class may be applicable to the speaker wiring from some high-power amplifiers, particularly when operating in bridged mode. Older equipment, manufactured before the Class 3 designation was introduced, may be labelled as requiring Class 1 wiring (maybe only when operating in bridged mode), even though wiring meeting the less-demanding Class 3 designation would now be considered adequate. The above descriptions are not intended as formal definitions of the classes. In the UK, the nearest equivalent designation for standards of wiring is defined by the voltage band for which the particular wiring is intended to be suitable. Describes a sound or a signal that is free from distortion, effects, etc. See also Dry. Compare Dirty. An alternative term for mix-minus. A trademarked name for a proprietary party-line intercom system commonly used in auditoria to enable communication between different locations or technical personnel. 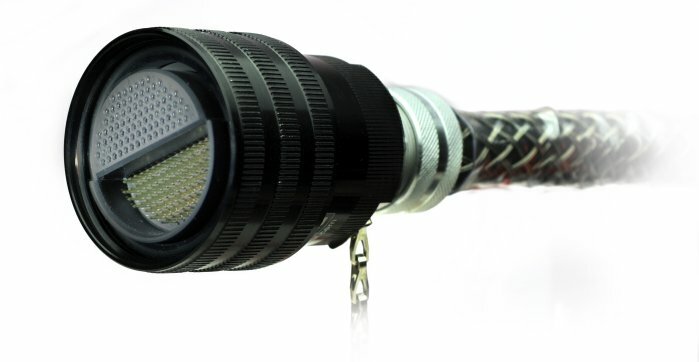 It uses a 3-wire interface, connected using 3-pole XLR connectors, which has become a standard to the extent that other manufacturers now produce equipment that is described as "Clearcom compatible". In this interface, pin 1 is signal earth, pin 2 is DC power (approx +24 to 30 volts) and pin 3 is duplex audio (unbalanced) plus signalling. The signalling system lights all 'Call' lamps when any 'Call' button is pressed, which puts approx +24 volts DC on the pin 3 conductor. A power source is usually provided by a 'master station' or interface unit, which also provides a termination for the audio line. See also Comms and Talkback. An abbreviation for 'Common Loudspeaker Format', an open file format for the specification of acoustic data for speakers. Many speaker manufacturers provide data for their products in this format, which is also supported for import by several acoustic simulation software packages. A free reader for CLF files is also available. For more information see the CLF Group website (external link, opens in a new window). See also the Manufacturers' page and EASE. A regular clicking sound which the person whose responsibility it is to set and maintain the correct tempo of the music hears through headphones, to provide them with a reference beat. This person would typically be a musician (often a drummer), the Conductor, or the Musical Director. The click is either generated electronically (usually local to the person who hears it, under their control), or is played from a click track. A track of a 2-track or multi-track music recording, containing only a click. It is used when the playback of the recording is to be accompanied by live musicians, to enable the live performance to be correctly synchronised with the recorded music. The click track will usually start a defined number of beats before the music track(s), to cue the live performer(s). See also Tempo. Describes an amplifier or other signal processing equipment (or internal part of it) that is being overloaded to the extent that the positive and negative extremes of the signal waveform are flattened, as if they had been clipped off. A slang term for this is 'hitting the rails'. For a fuller explanation of clipping, see Overload (1). Besides the obvious device for indicating the time of day, in technical terms this refers to any continuous timing reference signal of fixed frequency, usually used to synchronise the timing of sequential events or the transfer of digital information. See also Synchronous and Bit-stream. Describes the placement of a microphone within a distance of around 2 feet (60 cm) of a sound source (often substantially less than this). When miking within the near field of a source, the exact position and angle of the microphone usually has a major effect on the balance and timbre of the sound picked up. See also Colouration. Compare Distant pickup. Describes headphones that are intended to largely exclude the room sound, so that the sound from the headphones may be heard more clearly and without distraction, at lower headphone sound pressure levels (SPL) than would be necessary with open back types in environments of high ambient SPL. Closed back headphones used by engineering personnel are usually of the circumaural type. A closely-located group of speakers, often flown centrally. Usually each speaker in the cluster points in a different direction, so as to cover a different section of the audience in the horizontal plane and so provides a broad horizontal coverage. Note that, in contrast to a line array, the enclosures of a cluster are most often located side-by-side. See also Array, Stack, Trapezoidal and LCR (1). An abbreviation for 'constant linear velocity'. Describes a scheme in which the rate of rotation of a disc is varied in such a way that, regardless of the part of the disc being accessed, the surface of the disc passes the head at a fixed speed. To achieve this, the disc must rotated at a smaller number of revolutions per minute as the head moves from near the centre of the disc towards its outer edge. (e.g. a Compact Disc starts at 500 r.p.m. and gradually reduces to 200 r.p.m. at the end.) The purpose of this arrangement is to enable information to be stored on the disc at the maximum possible density over the whole surface area of the disc, without having to vary the rate at which information is written to, or read from, the disc. Compare CAV. An abbreviation for 'common mode rejection ratio'. An abbreviation for 'combined neutral and earth', a term describing a type of incoming mains supply cable used to supply the electrical installations of some venues. 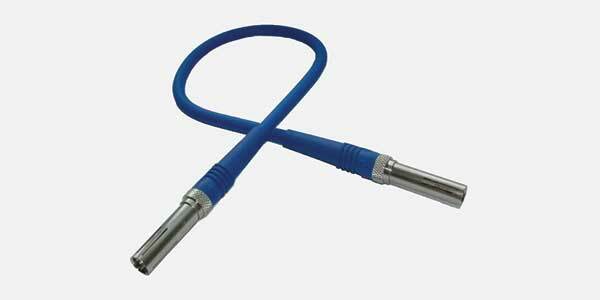 In this type of cable, the functions of the Neutral and safety earth are combined into a single conductor. Or, a term for such a conductor itself. The use of a supply in which such a conductor is employed may in some cases have consequences for the safe and satisfactory operation of the installation, for example as regards bonding requirements and/or problems with earth currents. This type of supply is otherwise known as a 'PME' (protective multiple earthing) supply. For further information see TN-C-S. The Center for New Music and Audio Technologies, a branch of the University of California. Their website is cnmat.berkeley.edu. In any radio link (such as is used within radio microphone and in-ear monitoring systems), interference that is experienced as a result of the operation of some other radio-frequency equipment or broadcast, whose transmissions use (or overlap) the frequency range(s) used by the affected link. See also Channel. Licensing of radio equipment (such as a radio microphone or in-ear monitoring system) which allows use of the equipment at only a single specified site. This means that other users in the vicinity should not be using the same frequencies at the same time, and therefore cannot legally be a source of interference with your system(s). For further information see Wired or Radio on the Microphones page. See also Regulated frequency. Compare Shared frequency licensing. An abbreviation for 'coaxial cable'. Describes something in which two parts share the same axis. 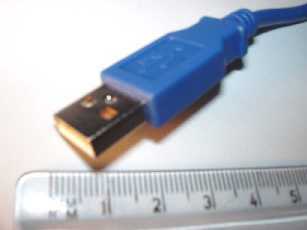 Most often used in reference to a type of cable (see the next definition) or to a connector suitable for such a cable. 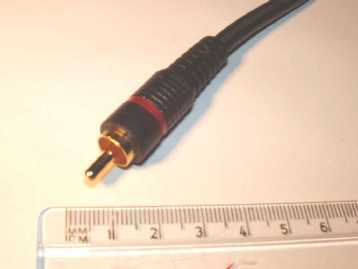 The term is also used as an informal description of a digital audio interface complying with the S/PDIF standard (or, less often, with the AES3-id standard), which both use coaxial interconnecting cable, to distinguish that type of interface from the optical equivalent (e.g. TOSLink). The term is sometimes used as an alternative to the more usual term concentric, in reference to a physical arrangement of the drivers in a 2-way speaker (see Concentric for details). An unbalanced cable in which a single insulated central conductor is completely surrounded by a conducting screen (or shield), which is then covered by an insulating sheath. It is so called because the central conductor and the screen are geometrically coaxial. The name is sometimes abbreviated to 'coax'. Some types of coaxial cable, particularly those intended for high frequency applications, are identified by commonly recognised designation codes such as 'RG-59' or 'CT100'. However, it must be understood that such codes do not precisely define the parameters of the cable types − they merely indicate the broad characteristics, not the actual level of performance under given conditions. One manufacturer's RG-59 is unlikely to perform identically to another's in every respect, so if any parameters are of particular importance then the relevant manufacturer's specifications must be consulted. The 'RG' codes should strictly be written incorporating a '-' but this is often omitted. The numeric part is frequently followed by a '/U' suffix, indicating a 'general utility' version of the cable, i.e. one for general or 'universal' application − this derives from the military origin of these designations. The '/' character is sometimes omitted. In present times the presence of a '/U' suffix may in some cases be significant, but may in other cases have simply been omitted for brevity. Other suffix letters, most commonly 'A', 'B' or 'C', may also be applied − it is advisable to check the relevant manufacturer's specifications to determine the precise meaning of these in each particular case. Subject to the above cautions, the table below gives an indication of the typical characteristics and approximate key parameter values for the most commonly encountered types. For actual values, consult the relevant manufacturer's specifications for the specific cable type concerned. See also Triaxial cable, Dielectric and Drain wire. An abbreviation for 'National Electrical Code'. An alternative term for software. Usually refers to a formal document detailing working methods that are recognised or standardised, but which (in most cases) are not legally enforced. Frequently abbreviated to COP. In some cases the term 'approved code of practice' (ACOP) is used to indicate formal approval or recognition of the document's content. An abbreviation for 'coder and decoder'. The equipment or software which converts a programme signal from one form to another. The term usually refers either to the conversion between analogue and a particular digital form, or to a change in digital form (e.g. between an uncompressed form and a particular compressed form). Strictly, a codec should be able to perform the conversion operation in both directions i.e. for coding and decoding purposes. In general computer terminology, however, the word is frequently used to refer to a piece of software which (in practice) is only ever used for decoding purposes, for the playback of encoded programme material, regardless of whether or not that software also has an encoding capability. In such computer-based applications, the 'signal' on which the codec operates is a flow of data between software components. See also Analogue to digital conversion and Modem. An informal term for an inductor, especially an air-cored one. See also Voice coil. A cable that has been arranged into a compact series of circular loops, for the purpose of convenient storage or transport. See also the next definition. The process of arranging a cable into a compact series of circular loops, for the purpose of convenient storage or transport. Typically, in order to avoid damage to the cables by kinking, a specific coiling technique is used such as the over-under method. Coiling is also known as 'wrapping'. See X-Y pair and Mid-side pair. The meaning of this term is different depending on whether an unbalanced or a balanced interconnection is being referred to. In an unbalanced low-level signal interconnection, 'cold' describes a conductor which, in normal use, is at an insignificant voltage with respect to the general mass of earth; that is, an earthy conductor. 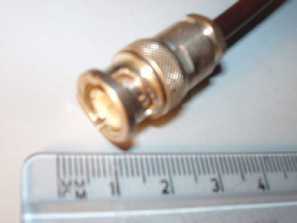 In screened (coaxial) interconnections it is usually formed by the outer conductor, the cable screen; in other cases it may be marked '−' or coloured black. It connects to the sleeve of a 2-pole jack plug. Warning: In the case of interconnections between power amplifiers and speakers, it should never be assumed that either of the two conductors or terminals is at an insignificant voltage with respect to earth, even if one of them is described as 'cold', is marked '−' or is coloured black. In a balanced signal interconnection, the cold leg operates in conjunction with the hot leg to form a balanced pair. In a 'fully balanced' interconnection, the cold leg of the pair is the one that carries a signal whose polarity is opposite to, i.e. is in anti-phase with, the reference signal polarity at that point. In the case of an analogue audio signal, this is often considered to be a voltage that becomes more negative as the original (unbalanced) signal or sound pressure becomes more positive. However, in some interconnections that are referred to as 'balanced', no signal is output on the cold leg of the interconnection by the balanced source. In these cases the cold leg still plays a vital role − for further details see Semi-balanced and Ground-compensated. 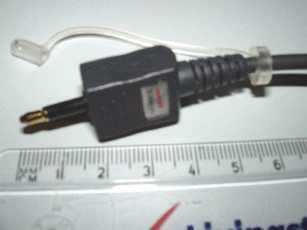 It connects to pin 3 of an XLR or to the ring of a 3-pole (TRS) jack plug. See also Pair. Compare Hot. Describes redundant equipment that is available for use in the case of a failure, but is not switched on ready for use. For further information see Redundancy and Standby (1). Compare Hot standby. A test image consisting of a range of standard colours, usually arranged as adjacent vertical bars, which is used for evaluating the colour performance of a video display or projection system. A video signal conveying such an image is frequently used in the absence of an actual programme signal, as a means of confirming the continued operation of a video signal path or processing equipment. ('Color' is the US spelling.) See also Chrominance and Grey scale. In electronics, the term 'colour code' specifically refers to the numeric coding scheme used to indicate the value of some types of resistor (and also some types of capacitor). Unfortunately there are several variants of this scheme, but in the simplest and most common one, four bands of colour are used − the first three indicate the nominal value and the fourth one indicates the tolerance. The third band indicates a 'multiplier' value. For indicated values of 10 and above, this works by indicating the number of zeros to be appended to the initial two digits; the number of zeros is indicated according to the same code above. (Black indicates no appended zeros.) For example, a sequence of Yellow, Violet and Orange bands on a resistor indicates initial digits of 4 and 7 followed by 3 zeros, i.e. a value of 47000 ohms (47 kilohms). For values below 10 a different method is used: for values from 1.0 to 9.9 the colour of the multiplier band is Gold, and for values from 0.10 to 0.99 it is Silver. For example, the sequence Brown, Red, Gold, on a resistor indicates a value of 1.2 ohms. Some resistors employ a 5-band code, in which the first three bands indicate the initial three digits of the value, the fourth band indicates the number of zeros to be appended to that 3-digit value, and the fifth band indicates the tolerance. In this scheme, a Gold fourth band is used for values from 10.0 to 99.9 and a Silver band for values from 1.00 to 9.99. There are many different colour coding schemes in use for audio interconnections. A fairly standard colour coding used in analogue stereo interconnections is for Red to identify the Right channel and White to identify the Left channel. 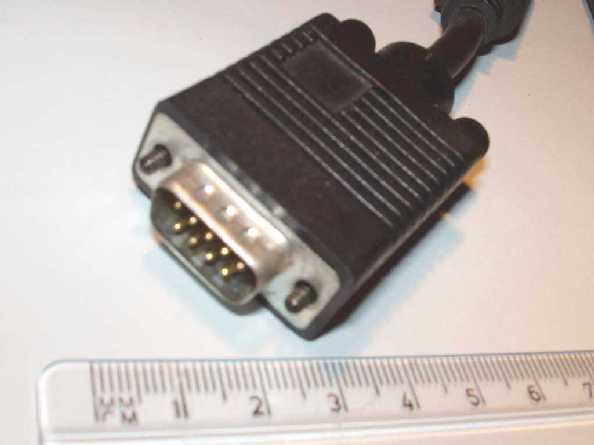 This coding is most often used for connectors. 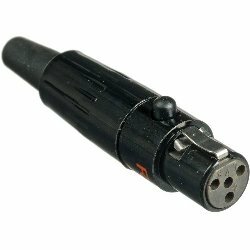 See Speakon for a common coding system for the allocation of multiway speaker cable cores to the Speakon terminals. Multicore cables are commonly manufactured using colours of insulation for the 'hot' (+ve) and 'cold' (−ve) conductors that are different for each pair, enabling the pairs to be uniquely identified by the various colour combinations. (When they are not identified this way, the pair numbers are usually printed on the pair jackets). Some popular schemes for the insulation colours are detailed below. In the above table 'colour_1/colour_2' indicates an insulation whose surface area is mostly of colour_1, with a narrower stripe or banding of colour_2. The degree to which one or more ranges of frequency are over- or under-emphasised in the sound. So, the term is usually used in a derogatory sense. ('Coloration' is the US spelling.) See also Off-axis colouration and Tone (1). Compare Flat (1). A speaker containing several drivers arranged one above the other, so as to reduce vertical dispersion of the sound produced. In effect, such a speaker behaves as a line array that is constructed using a single enclosure. As compared to a modular line array, this design imposes the limitations of no flexibility for varying the overall power-handling capability by adjusting the number of modules employed and no flexibility for varying the dispersion pattern by adjustment of the relative angle between the module axes. In many types all the drivers are identical, but some full range types are of 2-way design, the high-frequency driver(s) often being placed centrally in the array. A filter that provides many notches of attenuation, each centred on a different frequency, with the ranges of frequency between them being essentially unaffected. The name arises because a graph of the frequency response of such a filter has a comb-like appearance. This kind of filtering, which usually produces a 'hollow' effect in the sound, may be unintentionally introduced by two or more microphones picking up the same sound source at similar levels but from different distances. This is caused by the difference in phase due to the additional time that the sound takes to reach the further microphone, and results in cancellation effects occurring when the signals from the microphones are mixed. (For a way to help avoid this effect, see the 3-to-1 rule.) If the difference in distance between the microphones and the source varies, the comb of filtered frequencies sweeps through the frequency range, producing an effect very similar to flanging. Assuming that the microphones are picking up exactly the same sound, are connected with the same polarity and have the same equalisation settings, then the notches in response will occur at those frequencies at which an exact odd number of half-wavelengths fit into the difference in distance between each microphone and the source of sound. By applying the equation to derive wavelength from frequency using the speed of sound, it can be shown that the first notch will be at a frequency (in Hz) given by 172 divided by the difference in distance (in metres), and subsequent notches will be at intervals of 343 divided by the difference in distance. For example, a difference in distance of 30 cm gives notches at 572 Hz, 1.72 kHz, 2.86 kHz, 4.00 kHz, 5.15 kHz, etc. A single item of equipment which combines the functions of a head and its associated speaker, usually intended for use as backline for guitar, bass or keyboards. Often referred to by musicians (and other non-technical personnel) as an 'amplifier' (or 'amp'). 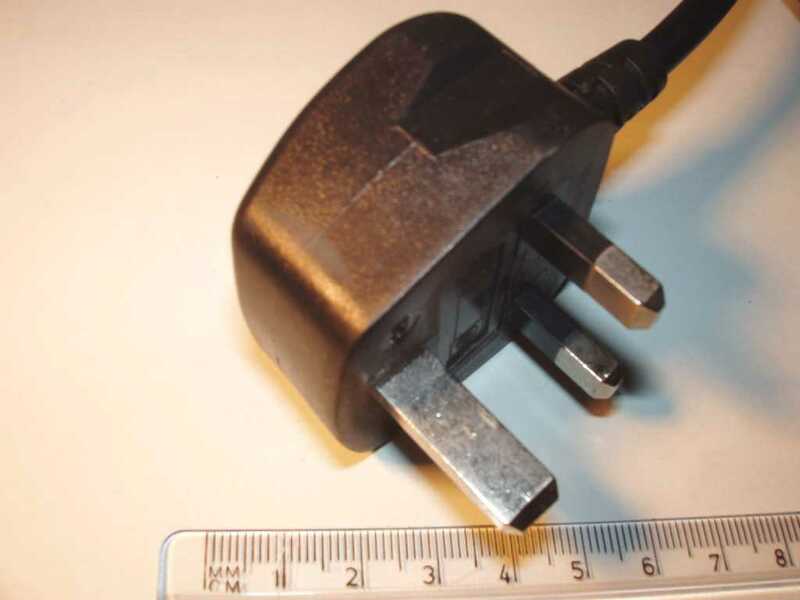 A socket, usually on an item of equipment, that is able to accept more than one type of plug. Most commonly refers to a socket that is able to accept both 3-pole XLR and jack plugs. A generally well-respected range of CEE-form (BS EN 60309-2) connectors manufactured by MK. 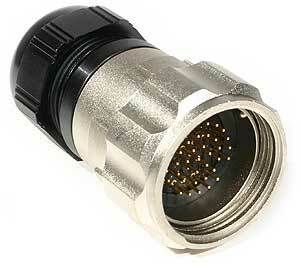 However, the term is often used to refer to any CEE-form connector, regardless of manufacturer. For further details see CEE-form. The phenomenon whereby a signal current or noise current that is flowing on one path impresses itself to some degree onto the signal flowing on another path because the two paths share the same conductor at some point, usually a signal earth conductor. Such path-sharing is only problematic when the impedance of the shared conductor is sufficient to cause a significant voltage drop across it (relative to the signal or noise levels in question). For example, any small mains-frequency current flowing in the signal earth conductor of an unbalanced interconnection (typically as a result of safety earth voltage differences) will cause an interferring mains-frequency voltage to be added to the signal voltage being carried. The magnitude of this interferring voltage will depend on the amount of mains-frequency current flowing in the signal earth conductor and on the impedance of the part of the signal earth path that it flows through. Apart from ensuring that any shared paths are of sufficiently low impedance, a common strategy for avoiding common impedance coupling is to eliminate (as far as possible) such shared paths completely, for example by use of star point earthing. The use of balanced interconnections can also be of very significant benefit. See also Crosstalk, Earth loop and Pin 1 problem. Compare Capacitive coupling and Inductive coupling. Interfering signals that arrive identically on the two signal connections ('hot' and 'cold', or '+' and '−') of a balanced input. Typically such interference would be hum originating from earth loops or induced by stray mains magnetic fields, and radio-frequency interference. Balanced interconnections are arranged so that, as far as possible, interference from such sources affects the hot and cold conductors equally. So, the interference appears at the hot and cold connections of the balanced input with in-phase waveforms of the same amplitude, and is therefore substantially rejected by the input circuitry − see the next definition. A measure of the ability of a balanced input to reject (i.e. ignore) signals that arrive identically on its two signal connections ('hot' and 'cold', or '+' and '−'), in comparison with signals that differ between those two connections. It is measured by comparing the response of the input to a signal applied between the hot and cold connections with its response when exactly the same signal is applied (relative to signal earth) to both of these two connections simultaneously. (The same, stated, source impedance conditions should apply in both cases.) A larger figure indicates that the input is better at rejecting common mode interference. CMRR is usually measured in decibels. As the figure is a value of rejection, it is a positive quantity; unfortunately, however, it is sometimes erroneously indicated as a negative value. The connecting together of multiple conductors or circuits. Or, the connecting of multiple conductors or circuits to a single point, or to multiple points that are electrically interconnected. For example, on some types of audio patch bays the sleeve connections (signal earths) of all the jacks are commoned. See also Bus. An abbreviation for 'communications', a general term used to refer to facilities which enable staff (such as sound engineers, lighting engineers, production managers, stage managers, camera operators, etc.) to communicate with each other during an event. See also Headset, Talkback, Clearcom and Party-line. A compressor and an expander acting together as a pair. The intention is usually that there is no net effect on the signal − so what is the purpose? An example of where this is useful is in a radio microphone, where in order to achieve a satisfactory signal-to-noise ratio over the radio link, the dynamic range of the audio signal has to be reduced in the microphone and then restored to its original value in the receiver. Rarely, the term relates to the data compression of a digital signal and its subsequent de-compression − see for example NICAM. A person whose knowledge, experience and skill enables them to carry out a specific kind of task (whether of a practical, design, or management nature) to the required standard and without danger to themselves or others. Such a person will usually have received formal or informal training in the relevant area(s) of work, but will not necessarily hold formal qualifications. Note that different disciplines may use their own specific definitions of this term, especially in relation to matters of health and safety. In general, a constituent part of something larger. However, in the specific context of the internal construction of electronic equipment, the term usually refers to the electrical and electronic parts used within the equipment to construct the required circuit. Components may be passive, for example inductors, capacitors and resistors, or may be active types requiring power to operate them, such as semiconductors and valves. Components are typically mounted on a PCB − for methods see Through-hole component and Surface-mounted component. The manner in which the components are interconnected within a particular item of equipment is indicated by the relevant circuit diagram. A particular type of analogue video interconnection, using three signals. The luminance and synchronisation information (both line sync and field sync) are carried by one of the signals, referred to as the Y signal. The chrominance information is carried in baseband form by the other two signals; these two chrominance signals are referred to as CR (or PR) and CB (or PB) and carry the Red and Blue information respectively. (The Green information can be derived from this set of three signals, because luminance equals the sum of Red, Green and Blue.) Compare Composite video, S-Video and RGB. Originally, an analogue video interconnection in which the synchronisation information (both line sync and field sync) is combined with the picture content, so that the whole may be carried by a single-signal connection between items of equipment. However, since the advent of analogue colour video the term is has been used to refer to an interconnection in which the chrominance information (coded in some form and impressed on a subcarrier) is included in the same signal as the luminance information and syncs. There are many different standards for composite video, which are not compatible with each other for interconnection or for playback of pre-recorded material. Most standards fall into the category of PAL, SECAM or NTSC, but each of these have several different 'flavours' indicated by a suffix letter. The table below compares some basic parameters of a common flavour of each standard, and for completeness also shows the analogue sound subcarrier frequency used in broadcast TV (although that is not part of a composite video signal). See also NICAM. Compare Component video, S-Video and RGB. A process which reduces the dynamic range of a signal. The device which does this is called a compressor, and the extent of compression provided is called the compression ratio. Compressors are frequently set up to apply compression only to signals that exceed a particular level, called the threshold level. Signals that are not compressed are described as uncompressed. To create a particular effect (typically used with electric guitars and basses), both in sustaining long notes and in reducing initial attack. To reduce excessive variations in the level of a signal. In PA and recording applications, moderate compression is frequently applied to signals from vocal microphones, particularly where singers have a very large dynamic range or use poor microphone technique. Reducing initial attack and/or sibilance may also be an objective (see De-esser). Further applications are in public address (speech) applications and in induction loop systems, where a consistent output level is an important requirement. To avoid overdriving equipment that has a clearly defined maximum input level, such as digital recording equipment, speaker drivers and radio transmitters. In such cases compression with a ratio of 10:1 or more (above the threshold level) may be applied − this effectively prevents the signal from rising significantly above that level, and is usually referred to as limiting. A basic form of compression for driver protection (often for just the horn(s)) is sometimes provided within speakers in the form of a series-connected protection lamp. To accommodate a signal to the restricted dynamic range of equipment such as analogue radio microphone links. As compression reduces the difference between the signal's average level and its peak level, the required headroom is reduced. In order to restore the original dynamic range of the signal for normal use, compression applied for such purposes must be reversed by an expander, e.g. in the radio link receiver or on playback of the recorded material. To increase the average level of the signal (relative to its peak level) and therefore make it appear to be louder and more 'intense' − this is extensively done in pop music recordings. Compression can also occur unintentionally, for example see Power compression. Compression reduces the level of the louder parts of the programme material without reducing the level of unwanted background components, i.e. noise, during the quieter parts. Therefore, the signal-to-noise ratio of the programme becomes reduced during those quieter parts − which is precisely the times during which background noise is most noticable. This means that if the signal-to-noise ratio of the original signal was barely adequate, it may become unacceptable following compression. (Another way of looking at this is that any make-up gain that needs to be applied after compression will raise the level of the noise as well as that of the signal, which may possibly make audible a previously barely audible noise level.) In many cases serious problems with this side-effect can be partially avoided by careful adjustment of the compression, but in some cases it may be necessary to additionally employ a noise gate − preferably before the compressor (as at that point it is able to distinguish more readily between the presence and absence of the signal). See also Signal processing, Speaker protection, Ride, Compander, De-esser and Dolby A, B and C. Compare Expansion. A process which reduces the quantity of data required to adequately represent some information, such as digital audio − usually according to some agreed specification as to exactly how it should be done (see Algorithm). In the case of stored information, compression allows less storage space to be required for it. In the case of information being conveyed from one point to another in real time, compression allows a lower data-rate (bit-rate) to be used on the link, or more information to be transferred in a given amount of time. The effectiveness of the compression is called the compression ratio. Data that is not compressed is described as uncompressed. Compression and the reverse process of decompression are usually performed by a codec. In order to make use of the compressed information, it must be restored to its original form (or nearly so) by reversing the compression process. If the original data can be exactly restored, the compression is described as 'lossless' − no meaningful part of the information was discarded in the process. If restored versions of the information cannot exactly replicate the original because some of its components were discarded, then the compression is described as 'lossy' − even if it is not possible for the end user of the information (e.g. a listener of the audio) to tell the difference. Examples of audio data compression schemes are MP3, AAC and ATRAC. See also Masking, Perceptual coding, Codec and Variable bit rate. An increase in pressure, in relation to the propagation of sound through a gaseous medium such as air; the opposite of rarefaction. Sound waves in air consist of alternate regions of compression and rarefaction along the length of the wave in its direction of travel, and are therefore described as 'longitudinal'. The transducer that is used at the back of the throat of a high frequency horn driver. This is frequently a separately replaceable component, which bolts to the throat. Note that the meaning of the word 'compression' here is compression (3), and there is no direct relation to any power compression that may occur in the driver. A measure of the amount of signal compression taking place. The ratio control of a compressor usually has settings labelled 2:1, 4:1, 6:1 etc, pronounced '2 to 1', '4 to 1', etc. For example 2:1 means that, for signals above the threshold level, 2 dB of change in level at the input produces only 1 dB of change in level at the output; 4:1 means that, for signals above the threshold level, 4 dB of change in level at the input produces only 1 dB of change in level at the output, etc. (For an explanation of decibels, see the Decibels page.) A setting of 1:1 means that the compressor is providing no compression (i.e. is inactive, or bypassed), whilst Infinity:1 means that it is acting as a limiter. Compare Expansion ratio. A measure of the effectiveness of a data compression algorithm. The ratio is usually expressed as 2:1, 4:1, 10:1 etc, pronounced '2 to 1', '4 to 1', etc. For example 2:1 means that the data is compressed to half its size, 4:1 means that it is compressed to a quarter of its size, etc. A signal processing unit which reduces the dynamic range of a signal, usually taking effect only while the signal exceeds a pre-set threshold level. This reduction in dynamic range is called compression. The 'amount' of compression is determined by the compression ratio control. Most compressors have the facility for adjustment of the speed at which compression is applied, after the threshold level is exceeded. The time taken to reach the set amount of compression is called the 'attack time', and its adjustment may be useful in avoiding the significant compression of transients and other short-duration peaks in level. Two adjustments may be provided to control the behaviour when the level falls below the threshold level: 'hold time' and 'release time'. The hold time extends the period for which the set amount of compression is applied, and its adjustment may be useful in avoiding rapid switching in and out of compression (especially when short attack times are used). The release time controls the rate at which compression is removed, after the expiry of the hold time. See also Gain reduction, Side chain, Knee, Pumping, Breathing and Compander. Compare Expander. Describes two or more items that are located such that their centres are at the same point, or are on the same axis (and usually close together). For example, in a concentric 2-way speaker design, the high frequency driver is mounted at the centre of the woofer, so providing a 'point source' of sound across the speaker's whole frequency range. In a conventional design, where the two drivers are laterally displaced, the phase difference in different directions of radiation causes directional interference effects to occur between the sound-waves from the two drivers around the crossover frequency, which can be a particular problem in stereo close-monitoring applications. The concentric arrangement has the advantage of eliminating the directional aspect of such interference effects, and also reduces the physical size of the speaker. Such speakers are sometimes referred to as dual concentric, coaxial or point source speakers. See also Sweet spot. Another example of a concentric design is the arrangement of sweep EQ frequency and boost/cut controls in which these controls are located one inside the other rather than side by side. 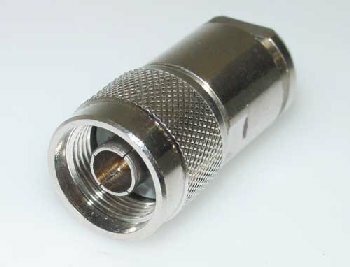 Compare Coaxial. A standard tuning pitch for musical instruments, in which the note referred to as 'A4' (the first 'A' above middle C) has a fundamental frequency of exactly 440 Hz. See also Cent. 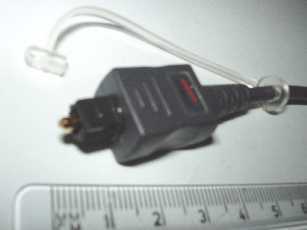 A type of microphone in which sound is converted to an electrical signal by causing the vibration of one of the plates of a charged capacitor, whilst the other plate remains fixed. So, the spacing between the plates varies and this causes a variation in capacitance, which in turn causes tiny variations in the voltage between the plates. The vibrating plate is called the diaphragm and the fixed plate is called the backplate. As this process generates a very small signal level, some initial amplification of the signal is required within the microphone itself. This internal amplifier may be powered either by an internal battery or by power supplied from the mixer (see phantom powering). The current demand of a condenser microphone is typically 2 to 4 mA. The charge on the capacitor may be provided either by the same power source that powers the internal amplifier (a so-called 'true' condenser microphone) or, more usually in stage mics, may be permanently created by use of special materials on one plate of the capacitor. In the latter arrangement, called an 'electret microphone', best results are obtained when the backplate (rather than the diaphragm), carries the charge, and this type is termed a 'back electret' microphone. The name 'condenser microphone' arose because 'condenser' was the old word for a capacitor. So, this type of microphone may equally be called a 'capacitor microphone'. (Note that some types of condenser microphones are readily adversely affected by the condensation of moisture onto the capacitor plates − the name of this type of microphone is completely unrelated to this phenomenon.) The alternative name 'electrostatic microphone' is sometimes encountered; this indicates that sound causes hardly any movement of electrons through the microphone capsule. 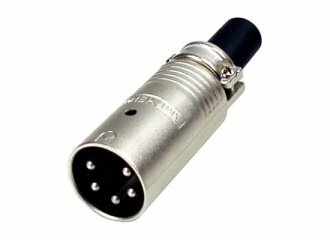 This type of microphone is most useful for distant pickup applications such as overhead microphones (for choirs, drum kits, etc.) and when very precise reproduction is required, such as in studio applications. Some types are fitted with facilities such as attenuator switches, low cut switches and pick-up pattern selectors. (See the Microphones page for more information.) Compare Dynamic microphone. A written report on the condition of a fixed electrical installation, produced on a standard form by a competent person in accordance with the relevant regulations and procedures. Its full name is an electrical installation condition report (EICR). In the UK, such a condition report (previously referred to as a 'periodic inspection report') must be created in accordance with BS 7671 and is a record of the results of the prescribed periodic inspection performed on the installation. Certain types of premises are required by law to have these inspections and tests carried out at regular intervals. The report should indicate any defects that were detected at the time of the tests, along with an assessment of the severity of each defect noted and an overall assessment of 'satisfactory' or 'unsatisfactory'. A copy of the ECIR for venues hired out for performers etc. will usually be made be available for viewing by the hirer on request. However, remember that defects may have arisen (or got worse) since the date of the inspection. A slang term for a disposable protective cover used for protecting bodypacks from perspiration, or from any fluids or other contaminants used during a performance. Usually made from latex. Describes a material, a substance or an object that is capable of carrying an electric current. All metallic materials are conductive, but also some non-metallic ones. See also the next definition. 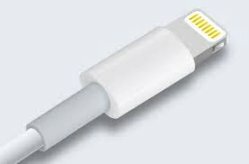 The part of a cable, connector or equipment, that is intended to carry (or to be capable of carrying) an electric current. Or, any material which presents a relatively low resistance to the flow of current. The conductors of a mains power cable are commonly referred to as Live (or Line), Neutral and safety Earth. The conductors of a balanced signal cable are commonly referred to as hot, cold and signal earth. See also Wire, Pole, Core (1), Gauge, Oxidation, Oxygen-free copper, Tinned conductor, Galvanic connection and the previous definition. Compare Insulator and Semiconductor. A tubular means of containment and mechanical protection for cabling fixed within a building, typically made of steel or PVC. Cables must be drawn into conduit from the ends, having due regard to the maximum capacity of the size of conduit being used and to the possible increased heating effect obtained when many cables carrying a substantial current are enclosed together. Metallic conduit for mains cabling must be connected to safety earth. Compare Trunking. The conically-shaped part of a woofer or a mid-range driver, which moves back and forth in sympathy with the signal applied to the driver. This causes displacement of the air in the vicinity of the cone and so creates sound waves. In most drivers, the cone's movement is produced by a magnetic force between the voice coil and a permanent magnet. See also Recone, Diaphragm, Excursion, Compression (3) and Rarefaction. A type of tall narrow drum, often fixed in pairs on a metal stand (each drum of the pair having a different pitch). Any device fixed at the end of a cable, or on equipment, to enable cables to be conveniently attached and detached from equipment, and from each other. Some common types of connector are listed below. See also Input, Output, Interface, Binding post, Barrier strip, Spade terminal, Coaxial, Boot, TCMCC, QTBMC, Male, Female, Mate, Gender changer, Y-connector, Source, Drain, Termination (1) and Insulation displacement. Another name for a mixer or other control panel such as a lighting control desk. The term is widely used for the large units used in live sound and in recording and broadcast studios, however the terms 'mixer' or 'desk' are often preferred for smaller units. Self-adhesive tape that is fixed to a mixer, normally just below or above the faders, and written on to indicate the use to which each channel, group, etc. is allocated. Use of such tape avoids marking the mixer's scribble strip directly; enables rapid, convenient and complete removal of markings; and enables a 'permanent' marker pen such as a 'Sharpie' to be used, which smudges less easily than wipeable markers. (In the event that a marking needs to be changed, another short length of console tape can be stuck on top of the original, incorrectly marked, piece.) If purpose-made console tape is not available, white PVC insulating tape can usually be used instead. Describes a speaker whose directivity is relatively unaffected by the frequency of the sound being reproduced. May also be termed 'uniform directivity'. Generally applied only to horns and full range speakers. Constant directivity horns exhibit a roll-off in response towards the upper end of their frequency range. In a full-range speaker this is compensated for by the internal crossover, but in multi-amped systems the compensation may need to be provided externally. Compare Exponential horn. Describes a particular type of frequency response curve, provided by some peaking equaliser (EQ) controls − especially the controls of some graphic equalisers. This response maintains a near-constant value of Q (see Q (1)) as the amount of cut or boost is increased on the control. In the case of a graphic equaliser, this helps to reduce the interaction between adjacent frequency bands of the equaliser. However, as some interaction still occurs, the true overall response of the equaliser is not precisely that indicated by the position of the controls when two or more adjacent bands are adjusted from their 0 dB position. It is claimed by some that constant Q behaviour is the most suitable for correcting the response of microphones, speakers etc., but is not so suitable for creative, sound-shaping applications. [It should be noted that, in the usual implementation of this type of response, the shape of the boost and cut curves are identical. In such designs the term 'constant Q' is strictly applicable only to boost settings, and not to cuts. This is because the strict definition of Q relates to the bandwidth measured at points 3 dB short of the maximum gain, which in the case of a boost is the uppermost point of the peaking boost curve but which in the case of a cut is the 0 dB ('flat') line of the response. In other words, a 'truly' constant Q control would provide a different response shape when cutting to its shape when boosting − but this is not the behaviour provided by most equalisers described as 'constant Q'. To avoid such ambiguity, some manufacturers use the term 'symmetrical Q' to describe a response that maintains a constant 'true Q' when boosting, but that when cutting maintains a constant Q determined relative to the point of minimum gain, i.e. relative to the lowermost point of the 'peaking' cut curve.] Compare Proportional Q. The phenomenon whereby certain sounds seem to increase in level at a particular position in a room (or indeed outdoors). This is caused by the sound having arrived at this position along two different paths or from two similar sources − e.g. from two speakers − such that the two versions of the sound are essentially in-phase. They therefore reinforce each other, and an increased sound level is heard. Since, for a given amount of delay, the phase relationship varies with frequency, sometimes only certain parts of a complex sound will seem to increase at a given point in the room − but other parts may increase at other points. Compare Destructive interference. Describes equipment that is mass-produced for use in the home, such as common types of Hi-Fi equipment and audio-visual equipment, as compared to that which is designed for professional or semi-professional use. Also referred to as 'domestic' equipment. Compare Prosumer. A microphone that does not pick up sound waves carried through the air, but by direct contact with a solid material through which the sound waves are conducted. Popular as pick-ups for acoustic guitars, pianos, and certain other instruments. See also C-ducer and Sound board (2). A power rating sometimes applied to speakers, which refers to the maximum power input level, of a continuously applied sine wave drive signal, that the speaker can safely handle. This figure is often incorrectly referred to as an RMS rating. In practice, speakers are rarely driven with such signals, and so other methods of specifying their power-handling capability are frequently employed, that attempt to take into account the dynamic nature of real programme material. Continuous average sine wave power ratings are also applied to power amplifiers. For further information see Power Ratings on the Amplifiers and Speakers page. See also RMS and Programme power. The 'shape' of the frequency response graph of a filter, equaliser or tone control. The term is sometimes used as the name of a control that adjusts the response shape, especially on guitar amplifiers. Also referred to as the curve. See also Slope. The lowest range of pitch for a female voice. See also SATB. In the context of video projectors, a measure of the difference − expressed as a ratio − between the light level emitted by the projector onto "peak white" areas of the projected image and the light level it emits onto areas of the image that are intended to be completely black. Since the peak white level is governed by the "brightness rating" of the projector (usually quoted in ANSI lumens), for a given brightness rating the contrast ratio of a projector effectively indicates how brightly it illuminates the parts of the screen that are intended to be black. Contrast ratio figures such as 2000:1 are frequently claimed in the specifications of modern projectors (though, as with most specification figures, the measurement method will influence the result obtained). However, it must be remembered that the projector's contrast ratio figure will only be perceived by a viewer (at a particular viewing position) if the screen reflects to that position significantly less light originating from other sources (including natural ones) than from the "black level" illumination provided by the projector. If the light reflected from the screen to the viewer from such other light sources is significantly more than the reflected "near black" light levels from the projector, then the perceived contrast ratio will be much less than that provided by the projector, and the image quality will be impaired by a loss of detail in its darker areas. Therefore, in order to achieve an adequate perceived contrast ratio it is frequently necessary to control the level of ambient light falling on the screen, and/or to take care in the selection of screen materials and of projection and viewing angles. (This explanation assumes front projection, but for rear projection similar issues apply.) See also Lux and Nits. In a live performance venue, a room from which certain technical aspects of a show are controlled. Typically this room will be a small room located at the rear of the auditorium, and will be provided with sound-proof windows to allow its occupants to observe the stage. It may be the location for control of stage and FOH lighting, PA and/or special effects. When used for control of PA, the control room is equipped with monitor speakers that are arranged to give a suitable impression of the corresponding sound in the auditorium (often at a lower SPL). Some mixers provide a dedicated 'Control Room' output of the main mix, intended to feed such speakers (via a suitable power amplifier), while on other mixers the headphone output is employed for this purpose. See also Utility output. Compare Booth. In a recording or broadcast studio, a room from which the processing and (where applicable) recording of signal feeds from the studio floor is controlled. (The actual processing and/or recording equipment may however be located in a separate unmanned equipment room.) Typically the control room will be provided with sound-proof windows to allow its occupants to observe the studio floor. It will usually be equipped with monitor speakers in order to allow audio mixes and individual sources to be listened to. Most studio mixers provide a dedicated 'Control Room' output, intended to feed such speakers (via a suitable power amplifier). The physical surface of a mixer on which its controls are mounted, usually its top surface. Or, an item of hardware that provides a means of control for a remotely located mixer (usually a digital mixer), or which provides physical controls for use in conjunction with a mixing app, as an alternative to screen-based controls. In some software-based systems the control surface may be located remotely from the computer running the app. See also SAC and DAW. Describes equipment that dissipates heat by natural air circulation, rather than with the assistance of an internal fan. This method of cooling has the advantage of silent operation. The flow of air must not be obstructed, or the equipment may overheat and be seriously damaged. Sometimes the cooling of convection-cooled equipment is assisted by the use of one or more fans installed in the same equipment rack. Convection-cooled equipment is sometimes described as using passive cooling. See also Heatsink. Compare Forced cooling. The established 'usual' or 'standard' way of doing something or of thinking about something. It may be documented, or passed on only by example and word of mouth. Note that convention can vary from country to country, district to district, location to location. The 'standard' way we do a certain thing here may be different (maybe only slightly, maybe substantially) from the way they do it down the road. Also note that convention can change over time − often slowly or subtly. Real standards, on the other hand, are properly documented, published and made available (if at some cost) to those who need access to them − these too may be amended from time to time, but only in a controlled fashion. An organised gathering, at a specific location, of people with a common interest. An abbreviation for 'code of practice'. 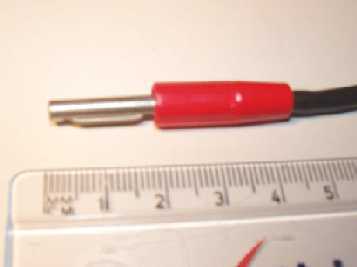 An individual insulated wire within a cable. So, a '4-core' cable is one that incorporates four independent conductors, insulated from one another. In the case of a screened cable, the screening conductor is not usually counted as one of the cores. The cores of cables expected to be flexed in use are generally stranded (i.e. have conductors that consist of several strands), whereas some cables intended for fixed installation purposes have 'solid' cores (i.e. conductors consisting of a single strand). See also Multicore, Tinned conductor, Stranded-cored, Solid-cored, Terminal and Pole. That part of an inductor or transformer whose purpose is to concentrate and contain the magnetic field in the vicinity of the winding(s). Cores are usually made from ferrous materials, and in the case of low-frequency components are constructed of many thin steel laminations. However, audio-frequency inductors are most usually air-cored. The unit of electric charge. It takes the overall charge of 6.242 x 1018 electrons to make up one coulomb. (That's a lot!) A charge of one coulomb is transferred by a steady DC current flow of one ampere for one second. See also Voltage. 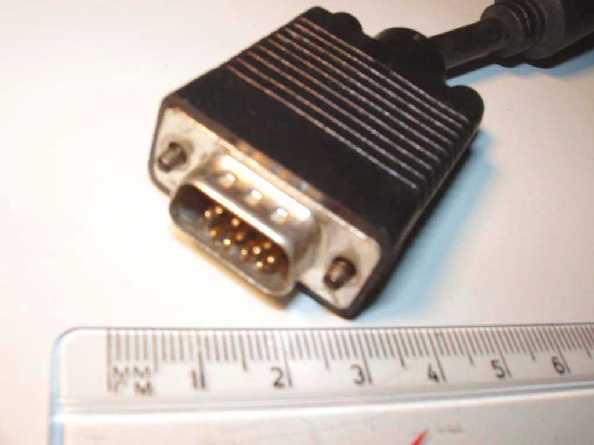 A device that enables the connectors of two cables to be joined together (so linking the cables end-to-end), when the gender of the connectors, or their design, precludes the direct mating of the connectors. See also Male, Female and Gender changer. The transfer of a signal, of noise or of interference from one circuit path into another, often undesirably. For further information see Capacitive coupling, Inductive coupling and Common impedance coupling. Unwanted coupling of a signal (rather than of noise or interference) into the path of a different signal may be referred to as crosstalk. The area, in front of a speaker or set of speakers, in which an acceptable level and quality of sound from that speaker (or set of speakers) can be obtained. Or, less commonly, in the case of a microphone that is intended to pick up sound sources spread over a wide area (such as a choir microphone or an audience microphone), the term refers to the area over which pick-up of the microphone is considered to be satisfactory. See also SPL, Short throw, Long throw, Inverse square law, Directivity and Dispersion. An abbreviation for 'circuit protective conductor'. The trading name of a UK equipment and electronic components supplier (originally, Combined Precision Components); part of the Farnell group of companies. An abbreviation for 'cardiopulmonary resuscitation', a highly urgent first-aid procedure for use on someone who is unconscious and has stopped breathing, or is unconscious and is not breathing normally. Further urgent attention (such as use of a defibrillator) will be required in such cases and should be urgently sought, however in the meantime performing CPR continuously can keep the person alive. An abbreviation for 'construction products regulation'. This specifies performance ratings for materials that are to be permanently installed in buildings in the European Union (currently including the UK), to assist in the selection of an appropriate class (i.e. grade) of materials according to the particular circumstances. For example, the selection of types of cable with an appropriate resistance to fire and appropriate emissions of smoke and fumes when subjected to fire. In this case the ratings are Eca (basic class) to Aca (best class). See also LFH and LSF etc. An abbreviation for 'central processing unit', the part of a computer's (or computer-controlled item of equipment) hardware that performs calculations and makes decisions. A slang term meaning to increase the level of a signal or sound. Often used with 'up', as in "Crank it up". The origin of the term is in the meaning of 'to crank' as 'to turn', i.e. to turn up a (rotary) level control. See also Loudness and Pump up. A type of cymbal. See also Ride (2). An abbreviation for 'cyclic redundancy check'. Leakage that is deliberately allowed for artistic effect. Usually relevant only to recording and broadcast situations, rather than to PA work. The ratio between the highest instantaneous value, positive or negative (measured from zero), occurring in a waveform and the RMS value of that waveform. Note that the crest factor is not usually of particular interest in PA work; it is not equivalent to the ratio between the peak level of an audio signal and its nominal level, which are both RMS values. (For example, the crest factor of a constant-level sine wave tone is approximately 1.41, but its peak level and nominal level are the same.) Unfortunately, however, the term 'crest factor' is sometimes used to refer to that ratio. See also Dynamic range and Headroom. Compare Form factor. A collective term for the personnel involved in the setting up, production and dismantling of an event − other than the performers. Typically includes the sound engineer, lighting engineer, production manager and assistants, stage hands, roadies, drivers, etc. See also Blacks (1). Describes an electrical connection, usually to a wire or to a cable conductor, made by compression of a metal (usually copper) sleeve around the conductor. The crimp sleeve must be correctly sized to match the size of the conductor. The compression is carried out using a crimping tool, which must also be correctly sized (or fitted with the correctly sized die) to match the size of the conductor and sleeve. Crimping is generally recognised to give a more reliable connection than a compression screw connection. In psychoacoustics, the bandwidth of the auditory filter having a particular centre frequency. It is about 130 Hz at 1 kHz and about 650 Hz at 5 kHz (representing a Q of about 7.7 in both cases). The distance, from a sound source, of a point at which the level of natural reverberation is equal to the level of the sound that has travelled directly to that point from the source. This distance will be dependent upon the acoustics of the room and upon the directional characteristics of the microphone. It is of importance in the placement of microphones, especially in recording work where it is intended that some natural reverberation of the room is picked up. In PA work, however, it is usual for each microphone to be placed as close as possible to the sound source that it is meant to pick up (subject to still obtaining a suitable picked-up sound quality), so as to increase the picked-up level of the wanted source relative to the pick-up of natural reverberation and of other sources (leakage). (Additionally, increased pick-up of the wanted source means that less gain is applied to the unwanted pick-up of PA speakers, which is helpful in reducing the likelihood of feedback). If reverberation is required, it is normally added artificially by the use of effects. If a microphone is placed at greater than the critical distance from the sound source that it is meant to pick up, the resulting pick-up is likely to be indistinct because the natural reverberant sound will dominate. See also Radius of reverberation, Reverberation time, Polar response and Distance factor. In room acoustics, the frequency below which modal behaviour dominates over the reverberant field. Its value is affected by the size of the room and by the degree of absorption. In any particular room, the transition from modal to reverberant behaviour occurs over a range of frequencies rather than abruptly, and so no precise figure can be given for it. However, as a rough approximation, for a room with average absorption the figure can be calculated as 130 x the room surface area (in m2) / the room volume (in m3). See also Diffuse field, Cut-off frequency and Inverse square law. An abbreviation for 'cathode ray oscilloscope', an oscilloscope that uses a cathode ray tube as its display device (see CRT). This term is now very rarely used, as most modern oscilloscopes utilise LCD displays instead. For further information see Oscilloscope. A control, the operation of which fades up one signal source whilst simultaneously fading down another signal source, in a single physical action. Not usually encountered on PA equipment, but common on DJ consoles. Usually a slider control. See also Active fader. A passive crossover is an internal component of a passive full range speaker. Its purpose is to direct each frequency range in the output of a single power amplifier to the appropriate driver of the speaker. It operates as a single-input, multi-output filter, connected so as to supply the HF part of the signal to the horn(s) (or tweeter(s)), the LF part to the woofer(s) and (when the crossover separates the signal into three parts) the mid-range part to the mid-range driver(s). It consists of a network of inductors, capacitors and resistors, and therefore requires no power source of its own. Its complexity varies considerably between different models of speaker. At one extreme, some budget speakers using piezo horns or tweeters are able to function without a crossover, as the HF driver itself provides a high-pass filtering action (however a resistor is sometimes employed in series with that driver). Budget speakers using conventional voice coil HF drivers typically employ just a capacitor in series with that driver. However, professional PA speakers typically employ much more complex crossover units, specifically designed for each model of speaker. Passive crossover units also sometimes incorporate driver protection components, particularly to guard against overload of the HF driver; see, for example, Protection lamp. In all cases, it is essential that the power rating of the crossover is appropriate for the rating of the complete speaker, and that the crossover frequency (or frequencies) and slope(s) are appropriate for the drivers fitted. An active crossover may be encountered either as a separate item of equipment that allows a separate power amplifier and speaker to be used for each frequency range, or as an internal component of a multi-amped powered speaker. Like the passive crossover, it operates as a single-input, multi-output filter, but in this case it is connected between the output of the mixer and the inputs of the amplifiers. The amplifier that is connected to the HF output	of the crossover drives the HF speakers (or horn(s)), the amplifier connected to the LF output of the crossover drives the bass bins (or woofer(s)) and (when the crossover separates the signal into three parts) the amplifier connected to the mid-range output of the crossover drives the mid-range speakers (or mid-range driver(s)). It requires its own power source (usually a mains supply). In order to obtain the best performance from the speakers and avoid possible serious damage to them, it is essential that the crossover frequency (or frequencies) and slope(s) of active crossover units are adjusted appropriately for the specific model of speakers being used − consult the speaker manufacturer's instructions. 'Crossover' may also be written 'cross-over' or 'cross over', and is sometimes abbreviated to 'X-over' or 'Xover'. See also Bi-amping, Order, Linkwitz-Riley, Butterworth, Chebyshev and the next definition. Absolutely nothing to do with a crossover device! Rather, it is the distortion that is introduced into a signal by an amplifier not operating linearly around the zero-crossing part of the signal waveform. The particularly significant thing about this form of distortion is that, in contrast to that caused by overload, it is of a relatively constant magnitude and is therefore most noticeable at very low output levels. It can occur as a result of poor amplifier design, as a result of a fault, or as a result of mis-adjustment of the output stage quiescent current. For further information see Amplifier Classes on the Amps and Speakers page. The frequency at which a crossover splits the higher frequencies from the lower ones. It is sometimes referred to as the 'turnover frequency'. In practice, the signal crossover takes place over a range of frequencies, usually quite a narrow one. The quoted crossover frequency is the centre of that range − the frequency at which equal levels are sent to the 'high' and 'low' outputs of the crossover unit. See also Slope and Classes of filters. The appearing of a signal from one circuit, in another circuit in which it does not belong. It typically occurs in cabling due to capacitive or inductive coupling between circuits in close proximity, but can also occur within equipment (for example, due to common impedance coupling). The use of balanced interconnections is usually of significant help in the avoidance of crosstalk problems. See also Separation. An abbreviation for 'cathode ray tube' − the original device for creating the visible image in televisions and other video display equipment such as computer display monitors. Due to the large size and weight of CRTs (and their extremely high operating voltage), they are now largely superceded by other devices such as liquid crystal displays (LCDs) and plasma screens. The term 'CRT' is therefore now often used to describe display equipment that uses the earlier technology. See also Raster. A term sometimes used by guitarists and guitar amplifier manufacturers to refer to a moderate extent of intentional distortion, which may be considered to incorporate a moderate 'squashing' of the sound due to the inherent signal compression that is produced. A subjective term, usually describing a sound lacking in the desired dynamics. However, as with all subjective terms, it may mean somewhat different things to different people. A lack of dynamics may typically be due to overdriven speakers or power amplifiers resulting in an undesirable limiting action. Describes equipment, or a reference signal of some kind, whose operating frequency is accurately controlled by means of a quartz crystal, or by locking the equipment or signal to a central crystal-based reference source. See also DARS. An abbreviation for 'cross-sectional area', a measure of the gauge of an electrical conductor, especially of a cable conductor. An abbreviation for 'cardioid subwoofer array', a term coined by d&b audiotechnik for their directional sub-woofer system, which provides a cardioid dispersion pattern (when set-up correctly) − see Cardioid sub. See also Array. An abbreviated name for The Wireless Association, an American-based international organisation for wireless equipment manufacturers. It was originally known as the Cellular Telephone Industries Association, hence the abbreviated name. Their website is www.ctia.org. 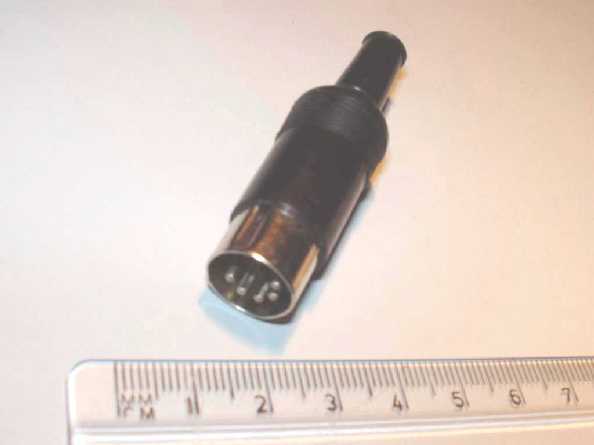 The most common wiring of TRRS 3.5mm jack connectors is to the CTIA standard. An abbreviation for 'Certified Technology Specialist', a USA-based AV qualification provided by AVIXA. For further information see the AVIXA website (opens in a new window). An indication that something needs to happen imminently or immediately, or is about to happen imminently. For example, an indication to a sound engineer to start a music track, or to a lighting engineer to blackout the lights. Cues may be explicitly provided manually by a Director or other person (using visual or audible means, for example by saying the word "cue" via an earpiece), in which case the intention is usually that the relevant action be performed immediately. Or, cues may be electronically programmed. Alternatively, they may be implicit in the performance (e.g. "Start the music when the actor falls to the floor."). Sometimes abbreviated to 'Q'. See also LXQ, FXQ, SXQ, Comms and IFB. Compare Standby (2). An audio signal feed that is not part of the main signal path but rather is provided for the benefit of performers or operators − typically via headphones. See also Comms. Compare Monitor. The process of cupping a hand over a microphone, especially a directional one, that is set up ready for use, as a technique for a very rough check on the likelihood of that mic being involved in acoustic feedback during use. This method works by disrupting the mic's directional polar response and also by the hand reflecting sound from the auditorium back into the mic. A flow of electricity. Or, more precisely, the quantity of electrical charge flowing per unit time. It is measured in amperes (amps for short − not to be confused with amplifiers!). A current of one amp means that one coulomb of charge is flowing per second. A current will flow between two points whenever there is a voltage difference between those points and, at the same time, a conducting path exists between them. If the flow of current rapidly exhausts the source of voltage difference, then the current will be short-lived − this is called a static electrical discharge. But if the source of voltage difference remains persistent then the current will be continuous, and such currents are much more useful. For a continuous current to flow, two conditions must be satisfied simultaneously. Firstly, there must be a complete (i.e. unbroken) conducting path, or 'circuit', for the current to flow around, and secondly there must be a continuous applied voltage, to drive the current around that path. If the applied voltage varies, then the resulting current will usually vary in a similar manner. If, regardless of any variations in the current, it always flows in the same direction, then it is described as a 'direct current' or 'DC'. This is the type of current obtained from a battery. If, however, the current repeatedly reverses its direction of flow then it is described as an 'alternating current' or 'AC'. All audio signals, and most mains supplies, are AC. In the case of AC having a repetitive waveform, one complete pattern of reversals is called a 'cycle', and the rate at which the cycles occur is called the 'frequency'. The amount of current that flows around the path will depend upon the applied voltage level and upon the overall amount of opposition to the flow of current that exists in the circuit path. This opposition is referred to as 'impedance' (or 'resistance' in the case of DC). The voltage (in volts) divided by the impedance or resistance (in ohms) gives the current in amps. For other calculations involving current, see the How do I calculate ...? question on the FAQ page. If sufficient current flows through the body then serious injury or death can be caused by electric shock. Death is typically caused by disruption of the heartbeat, and the amount of current necessary for this to occur is quite small (for example around 40 milliamps (0.04 A), though this depends on many factors such as the age and health of the person). Serious burns may also be caused, and/or other injuries such as falls. A flow of current always results in the generation of heat in the conductors, and if the resulting temperature rise is excessive then serious damage could be caused to cables, connectors or equipment, or a fire could be started. Therefore, it is essential that effective safety measures are put in place to reduce the risk from such hazards to acceptable levels. Such heating considerations are generally only of significance in cases where either the intended current flow is substantial (e.g. greater than 2 A), or where the current flowing in the event of a short circuit would cause damage, i.e. in power distribution arrangements. In such cases, all cables and other current-carrying equipment must be adequately protected against current overload and against short-circuit currents, typically by means of fuses and/or MCBs. These considerations are not generally significant in the case of signal interconnections, with the exception of power amplifier to speaker interconnections (see Gauge). The current rating of mains cables, connectors and power distribution equipment must not be exceeded. The total current demand of all the current-using equipment in use must not exceed the capability of the supply. The type of insulation surrounding the conductor − some types can withstand higher temperatures than others. The maximum ambient (i.e. surrounding) temperature in which the cable will be used − this affects the ability of the cable to lose heat. The method of installation and type of materials in contact with the cable − these factors also affect the ability of the cable to lose heat. The close proximity of other cables or equipment producing heat. The duration of, and interval between, the maximum flows of current. In addition to a heating effect, a flow of current also results in a magnetic field around the conductor (see Inductive coupling) and in a voltage drop along the length of the conductor. The overall voltage drop in a cable, for a given flow of current, will depend on the gauge of the conductors and on the cable's length. See also Insulator and RCD. Describes a power amplifier that utilises a specific type of output stage. Popular in the 1980's among audiophiles and for studio monitoring applications. For more information on power amplifiers see the Amplifiers and Speakers page. A momentary increase in current to a value substantially in excess of normal operating values, occurring in a mains power distribution arrangement. Current surges are most usually associated with the switching-on of some type of equipment, such as high-power power amplifiers − see Inrush current. They may result in the tripping of protective devices such as miniature circuit breakers (MCBs) which, in the usual case where there is no fault present, is generally inappropriate. See also Soft start. Compare Voltage surge. A term often used to refer to a particular type of frequency response, particularly of an equaliser or a crossover. Or, a general term for the shape of a particular frequency response graph. Also referred to as the contour. See, for example, Peaking response and Shelving response. A common term for attenuation; a reduction in level, usually specified in decibels. The term may be refer to a reduction across the whole audio spectrum, or, more often, refers to a reduction at specific frequencies only (filtering) − e.g. by use of an equaliser. Or, as a verb, to make such a reduction in level. Compare Boost. The frequency at which the attenuation of a filter (or other frequency-limited device) is 3 dB greater than the attenuation at frequencies well within its passband. Also called the 'corner frequency' or the '3 dB point'. For example, a low pass filter will allow frequencies below the cut-off frequency to pass relatively unaffected, while those increasingly above the cut-off frequency suffer progressively greater attenuation. Likewise, a high pass filter will allow frequencies above the cut-off frequency to pass relatively unaffected, while those increasingly below the cut-off frequency suffer progressively greater attenuation. A bandpass filter will have two cut-off frequencies, respectively called the 'lower' and 'upper' cut-off frequencies. In room acoustics, the room cut-off frequency is the frequency of the lowest possible mode − that is, the frequency whose half-wavelength is equal to the largest dimension of the room. At frequencies below this value the room will have an increased loading on sound sources, which is likely to result in a reduction in their ability to radiate such sounds into the room. Its value (in Hz) can be calculated as 172 / the largest dimension (in metres). This shows that room cut-off is of significance to PA applications in very small venues only, as its value will be below 20 Hz if any dimension exceeds 8.6 m. See also Shelving response and Critical frequency. An abbreviation for 'constant voltage' − see 100 volt line. An abbreviation for 'composite video, blanking and syncs', commonly used to refer to a composite video signal. (As the term 'composite video' is generally understood to refer to a signal which includes blanking and synchronisation information, the 'B' and 'S' in this abbreviation could both be considered to be redundant.) 'Blanking' relates to aspects of the signal which contribute to ensuring that the electron beam of a CRT is shut off when not writing useful picture information on the screen (most particularly during beam flyback) − for further information see Raster. See also the next definition. An abbreviation for 'composite video and syncs', commonly used to refer to a composite video signal. (As the term 'composite video' is generally understood to refer to a signal which includes synchronisation information, the 'S' in this abbreviation could be considered to be redundant.) See also the previous definition. A slang abbreviation for 'cyclorama'. However, in a stage lighting context, it may also be used as a slang term for a specific type of lantern, used for lighting cycloramas. Pronounced 'sike'. One complete pattern of change of a repetitive waveform. The time taken for one cycle is called the period, and the number of cycles occurring per second is called the frequency. See also Wavelength and Phase (1). An extra value that is often incorporated into stored or communicated data at regular intervals (or just at the start or end of the data), in order to facilitate subsequent checking of the data's integrity. Commonly abbreviated to 'CRC'. Each CRC value is calculated from the preceding set of data values (since the previous CRC, if any) by the storing or sending equipment, according to a pre-defined method. The reading or receiving equipment then performs the same calculation on the data and compares the resulting CRC value with the read or received one; any discrepancy indicates an error in the data (or in the CRC). See also Checksum, Parity, Bit error rate and Error correction. A large cloth drop, forming a background for a theatre stage set. See also Cyc, Flat (2) and Scene (1).